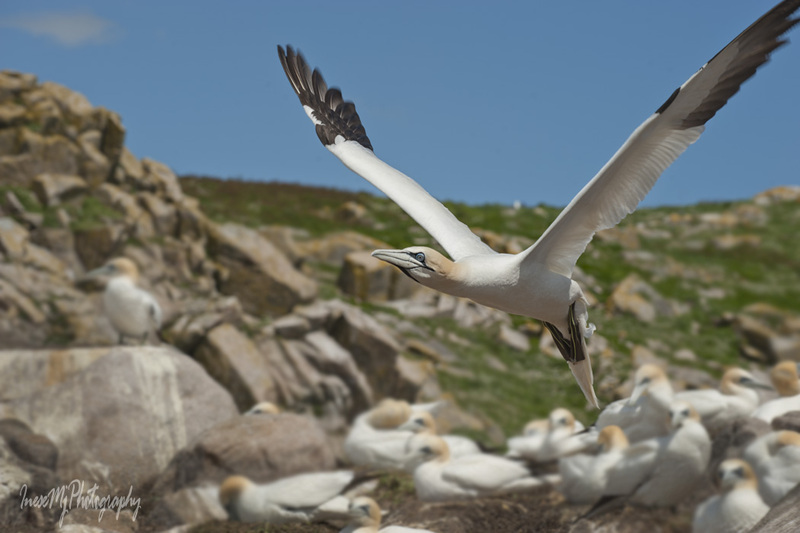 As I said in my previous post, to get to the Gannet place we have to first cross the Black-backed gull land. 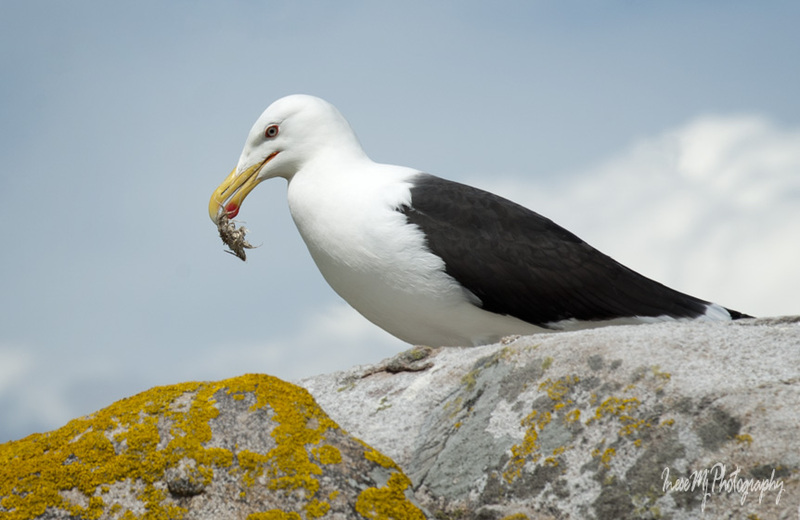 Great Black-backed gull is the largest of the gulls, and is described as a “merciless tyrant”. 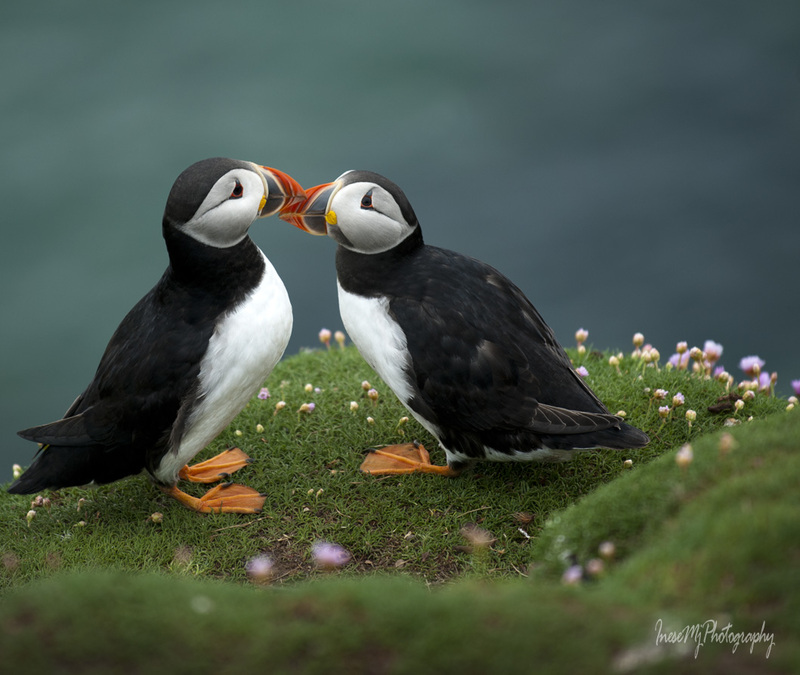 They can be fierce and aggressive at their nests, but I have no intention to bother them, and I know there are no chicks that early in the year. 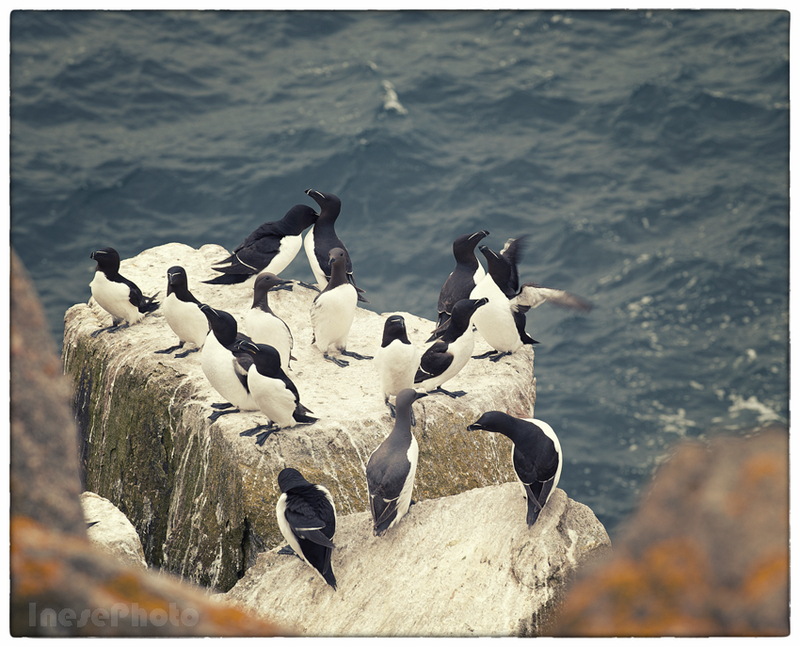 The gulls are perched on the rocks and become agitated as I get closer. Apparently they don’t understand the message I am sending them with my body language. One of them is trying to attack me. I keep walking and pretend I don’t hear, so he finally leaves me alone and returns to his rock. I turn around and take a picture 🙂 Then I hurry away. 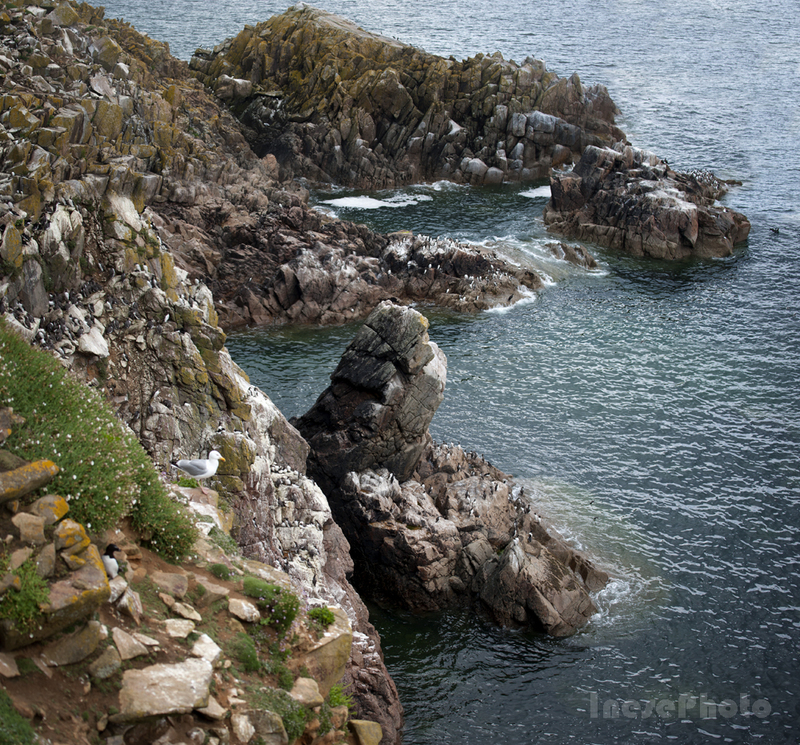 Just before the Cat Cliff comes into sight, I see another Black-backed gull with a tiny crab in its bill. Finally I reach the Cat Cliff. This place always makes me emotional and fills me with reverence for the mystery of life. Beautiful big birds are so vulnerable here keeping the eggs warm, protecting the young. 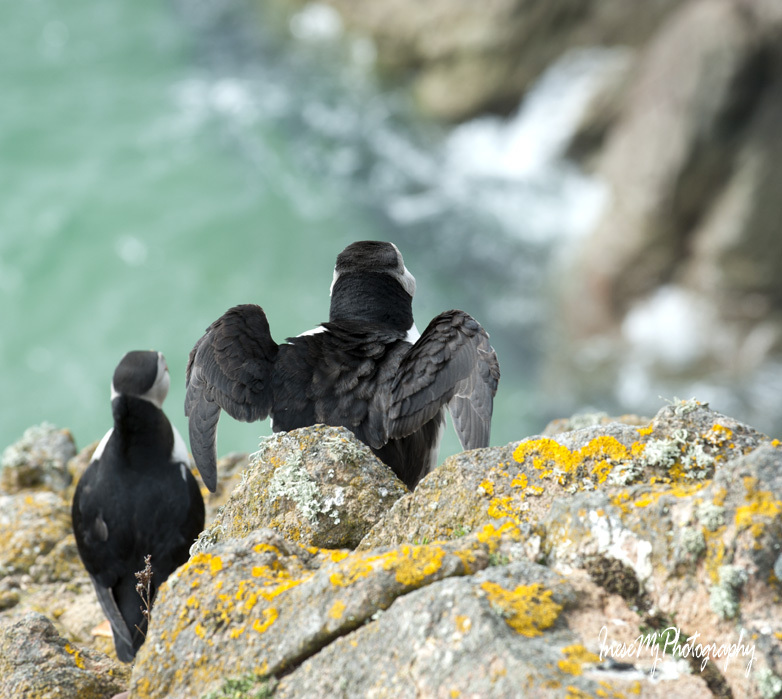 While climbing down the cliff, I have to pass by a clan of European Shags whose matriarch is an ill-tempered bird that starts hissing way before I come close. This year her young and very shy son finally has his own family. Now there are three nests altogether. 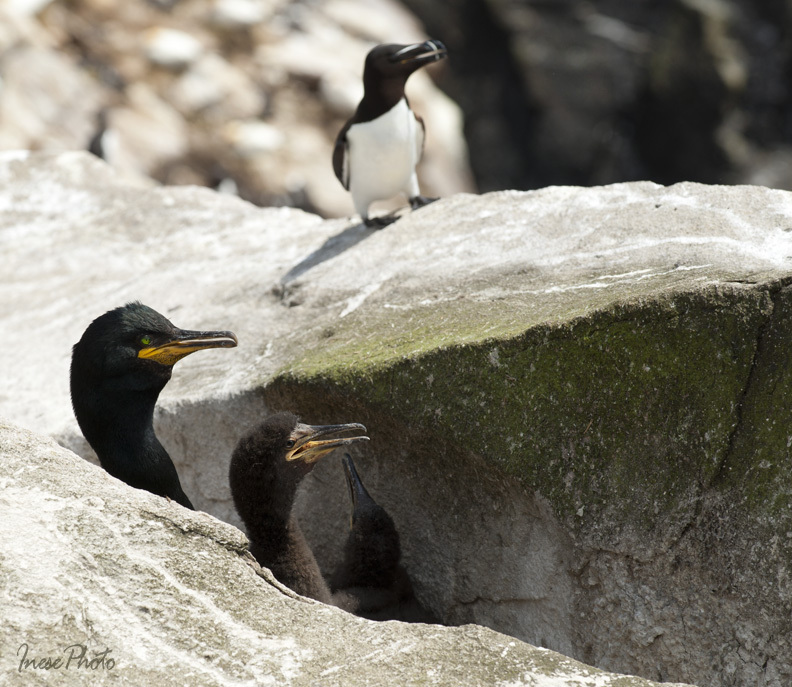 I didn’t want to bother the hissing mama and the shy lad, and took a few pictures of the third Shag with two chicks and a Razorbill in background. 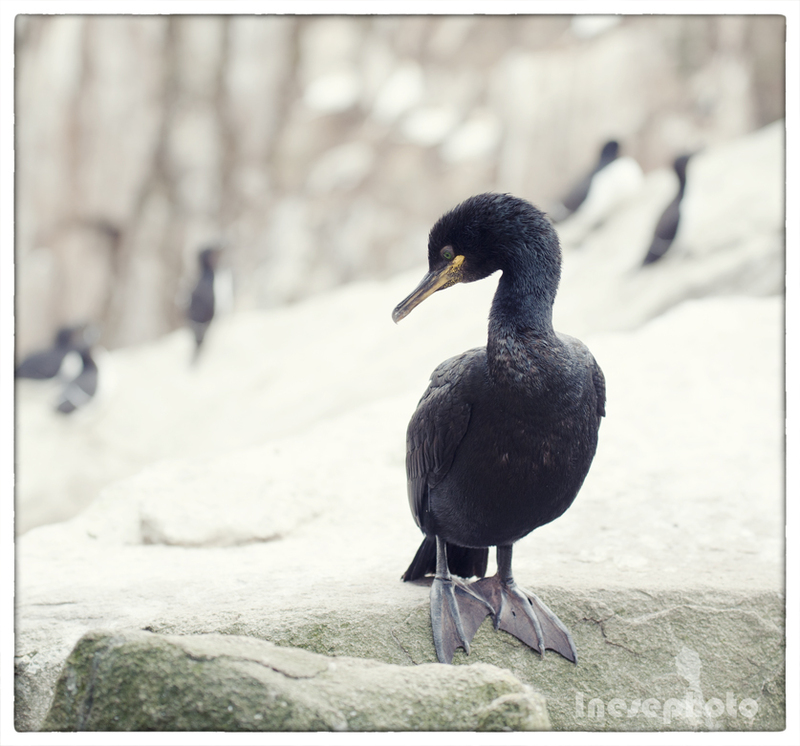 Shag looks similar to Cormorant, but they are two different birds, easily distinguished from each other: Shag is smaller and has emerald green eyes and green sheen on the feathers. 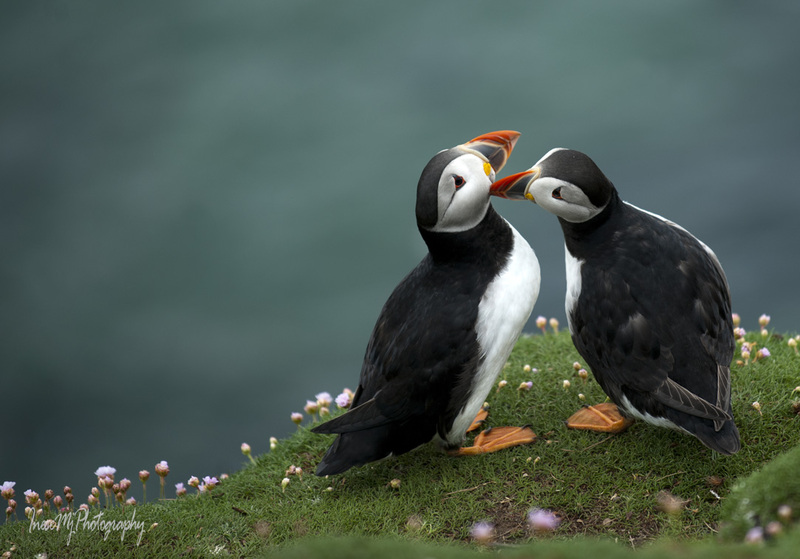 Also the European Shag’s tail has 12 feathers and the Great Cormorant’s 14 feathers. 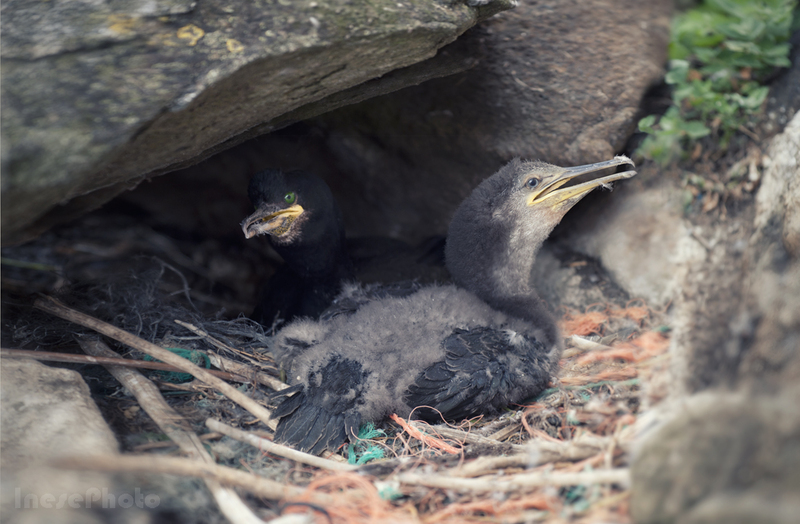 European Shag chicks hatch over a two day interval – it is why one chick looks much bigger than the other. 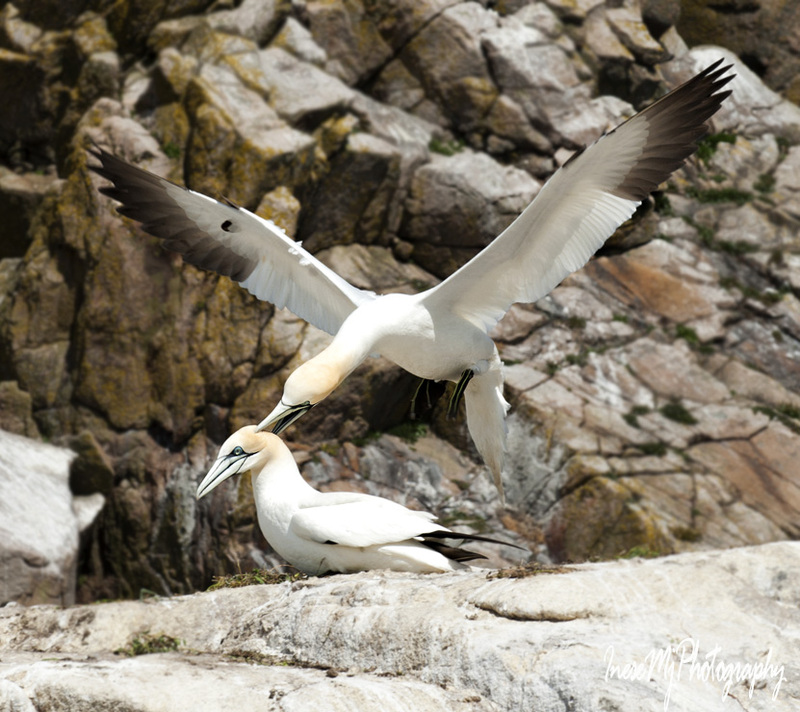 These two Gannets are familiar to me. 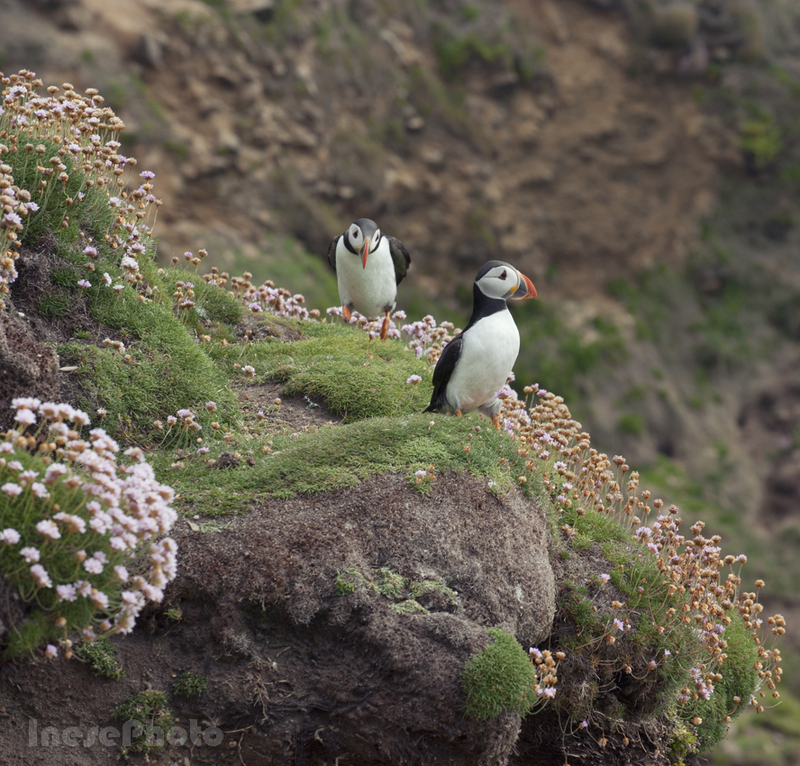 Their nests are perched at the very edge of the cliff so I always have to pass by them. 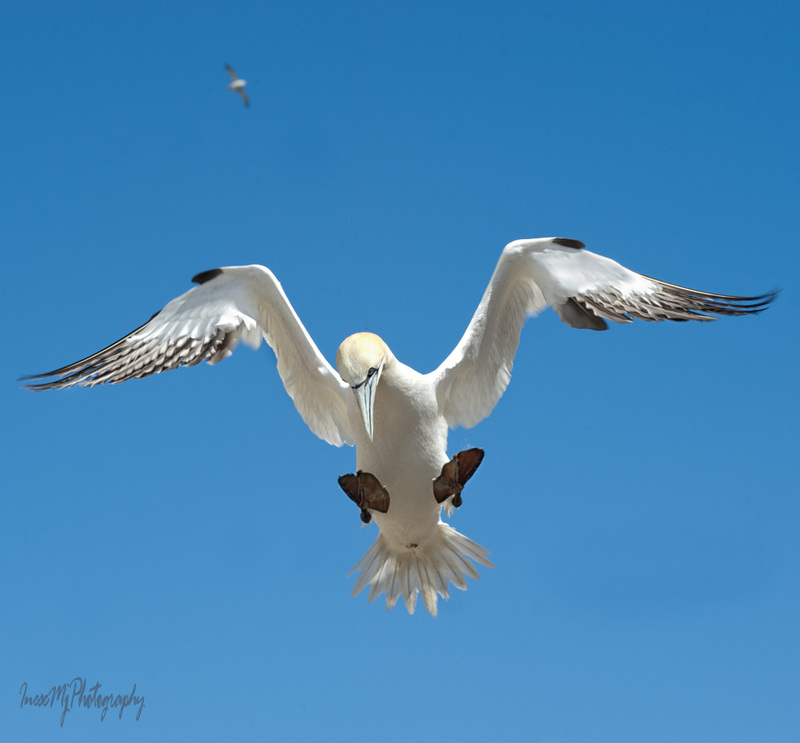 Watching gannet landings, I forget about time. 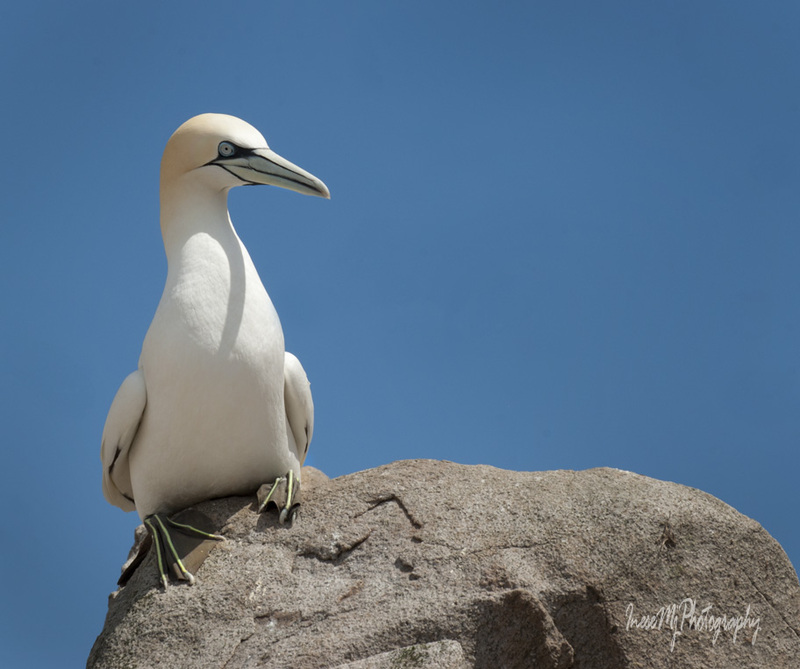 I would sit on that rock and admire the gannets until dark, but it is time to start moving as the boat is back in an hour. I safely pass the Black-backs territory and stop at the highest point to enjoy the beautiful view. 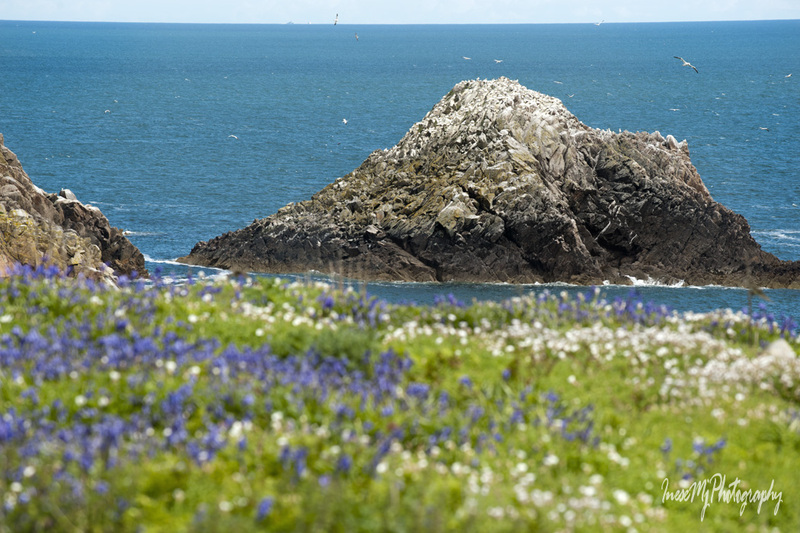 You can see the Little Saltee in background. 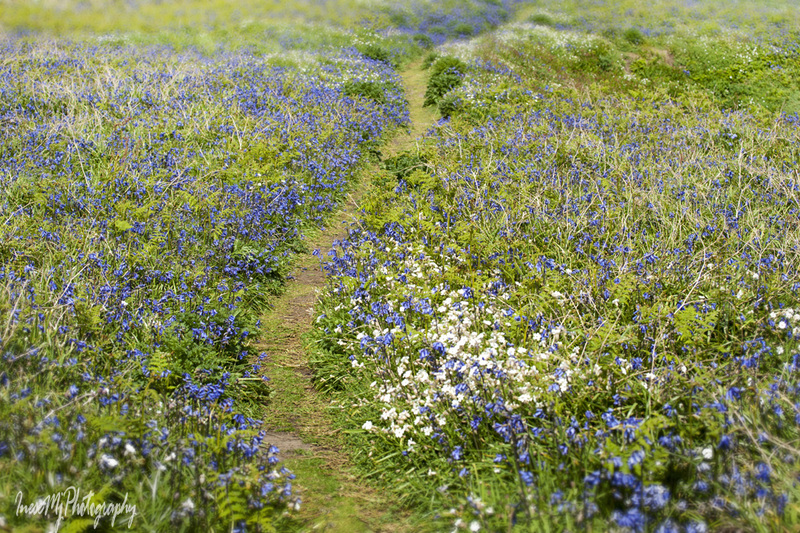 I walk through the carpets of blue and white. 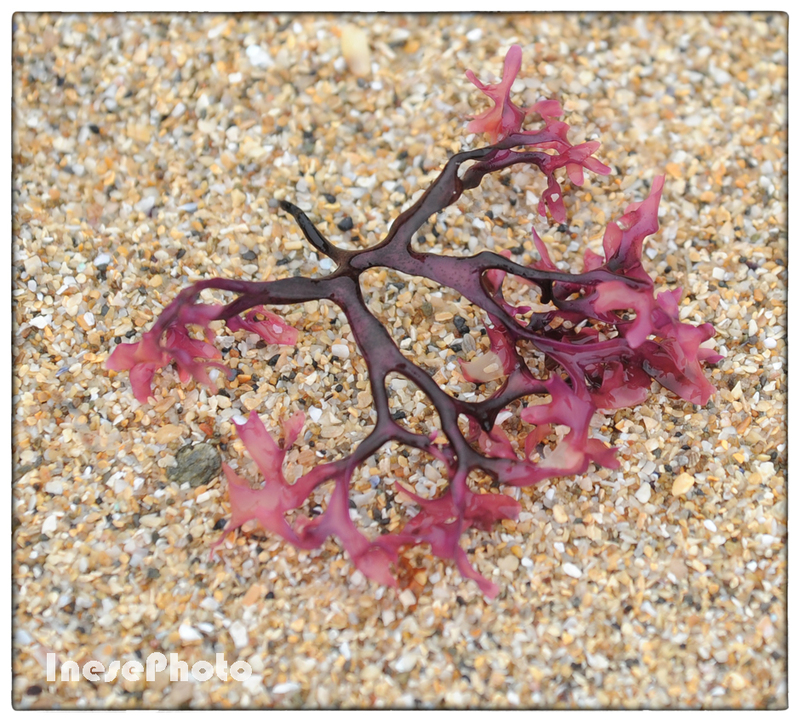 And of course, Sea Pink. 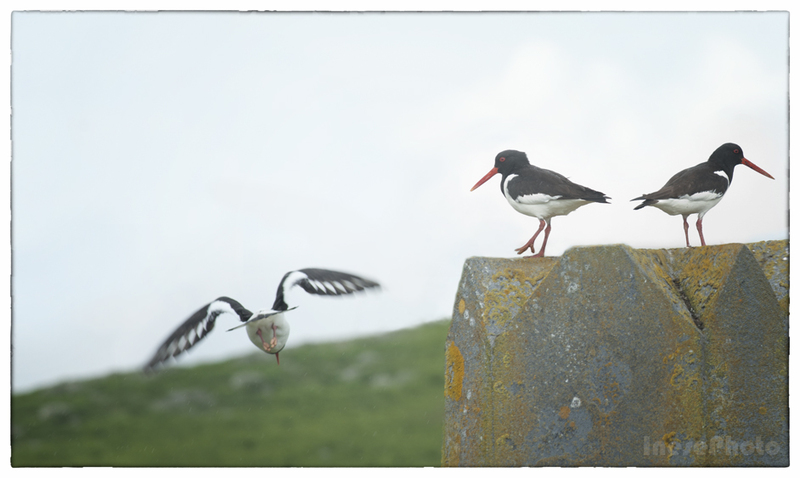 Oystercatcher’s loud, panicked voice calls me back from my daydreams. I take one last glance around. 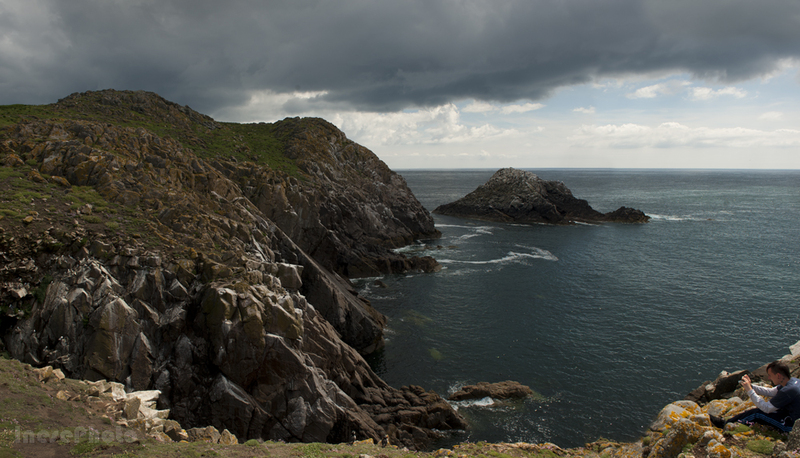 This is the Makestone, the largest islet at the southern side of the Great Saltee. 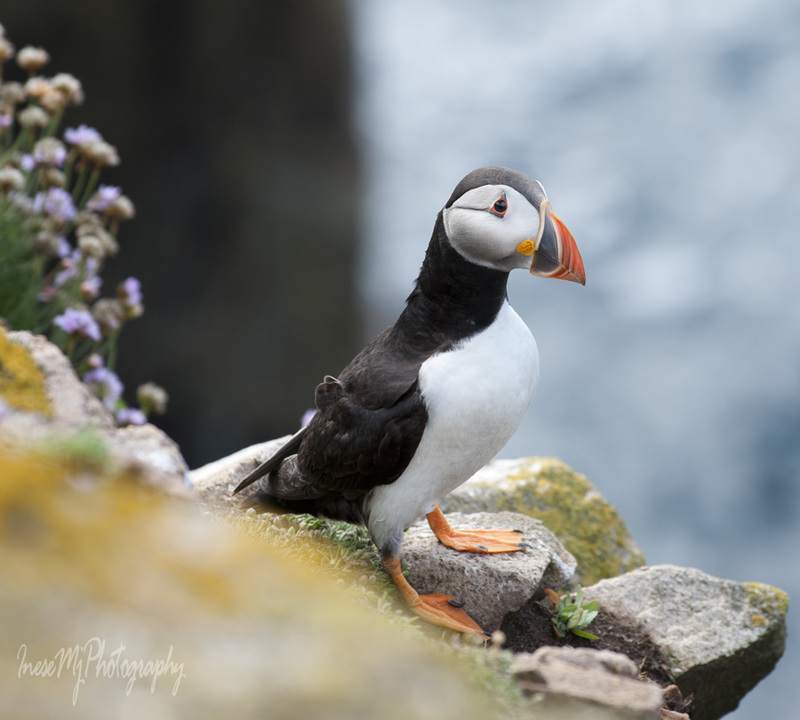 Little Saltee looks close when zoomed out. 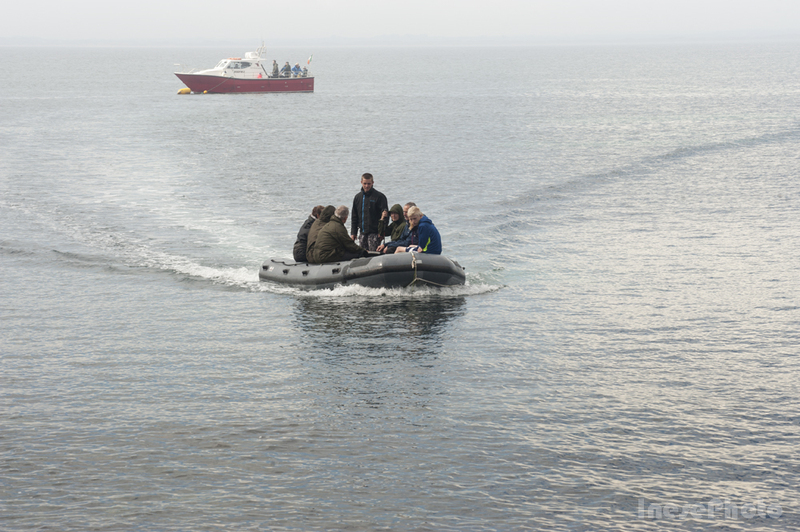 In fact, the channel between the islands is about a mile wide and 30 f deep. 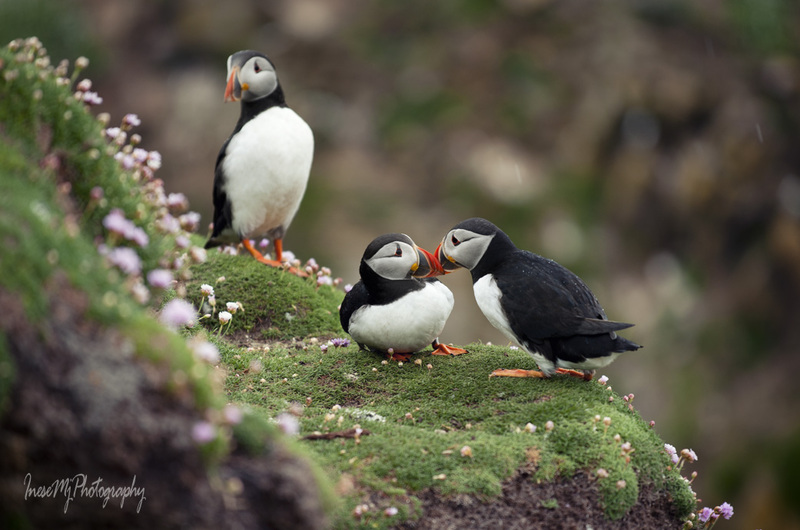 At this time of the year, puffins spend most of their time at sea. 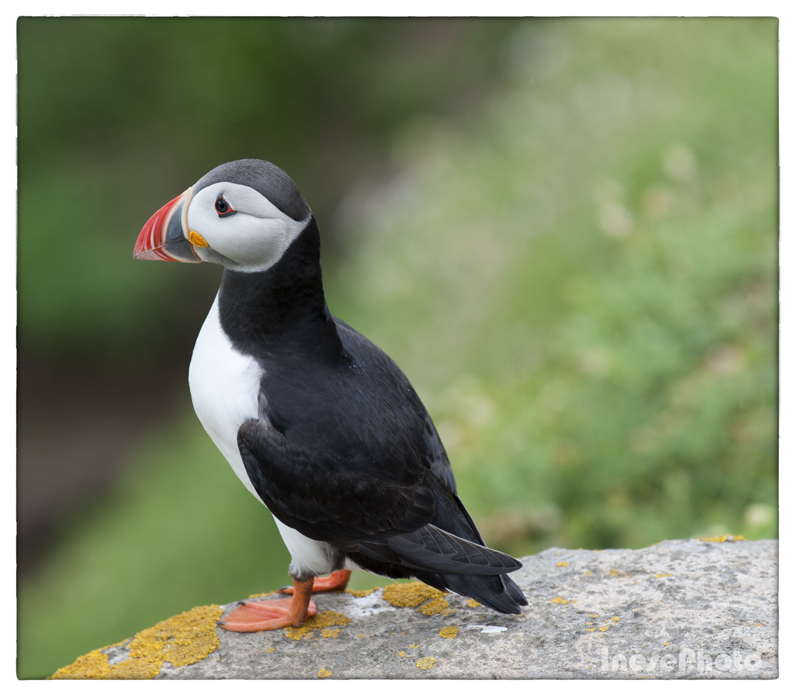 I have only seen four puffins during this trip. They will return later, after we leave the island. I am glad they are safe here. 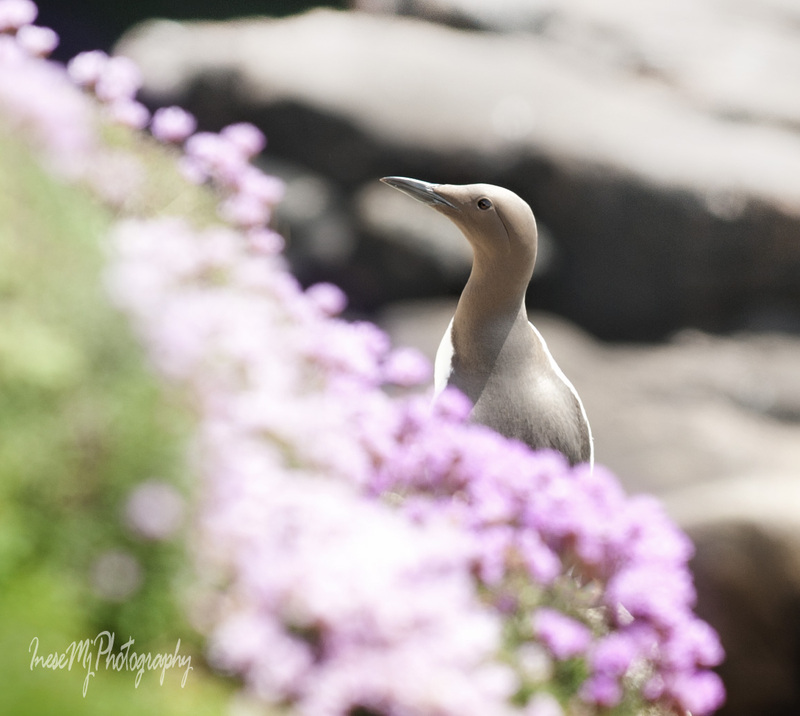 An Crosan – The Razorbill – will take us back to Kilmore Quay. 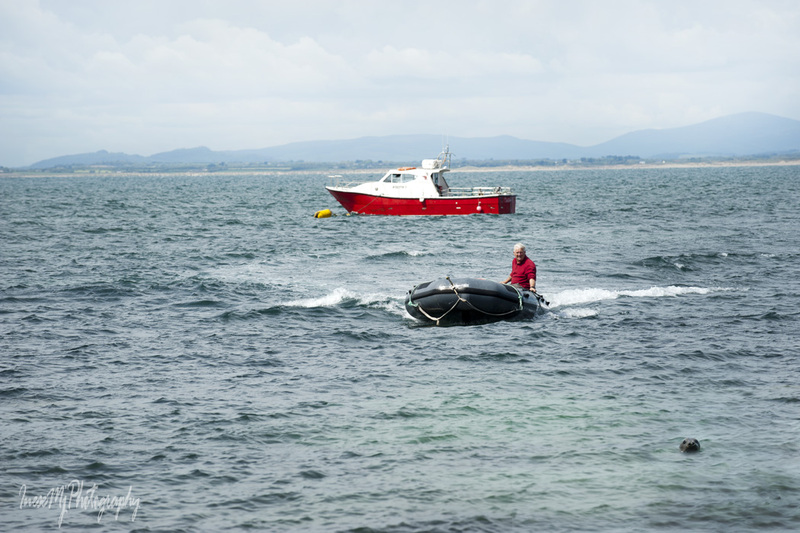 Two seals bathing in shallow waters are not afraid of Cap’n Declan and his dinghy. 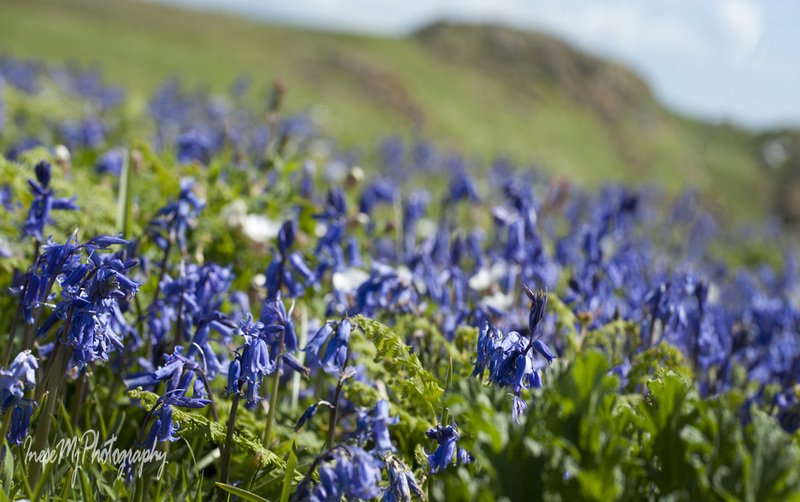 Thank you for visiting, exploring and discovering all things beautiful. 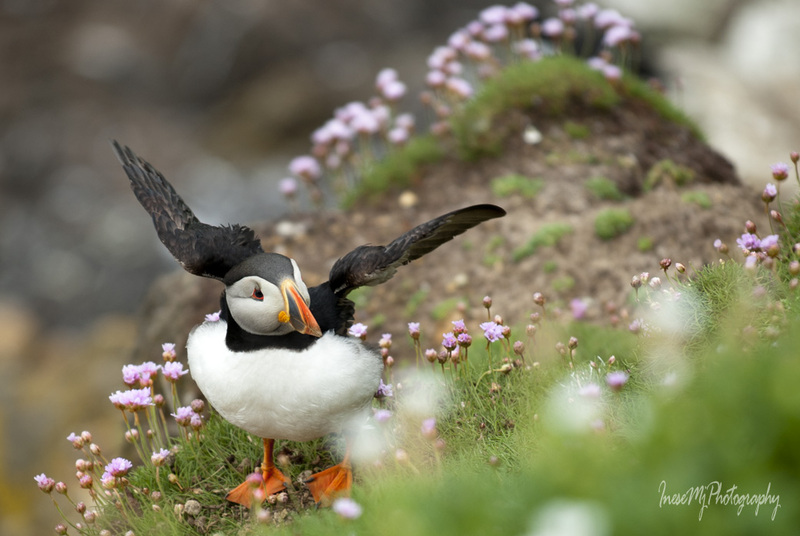 Hope you put Saltee Islands in your itinerary for next June. 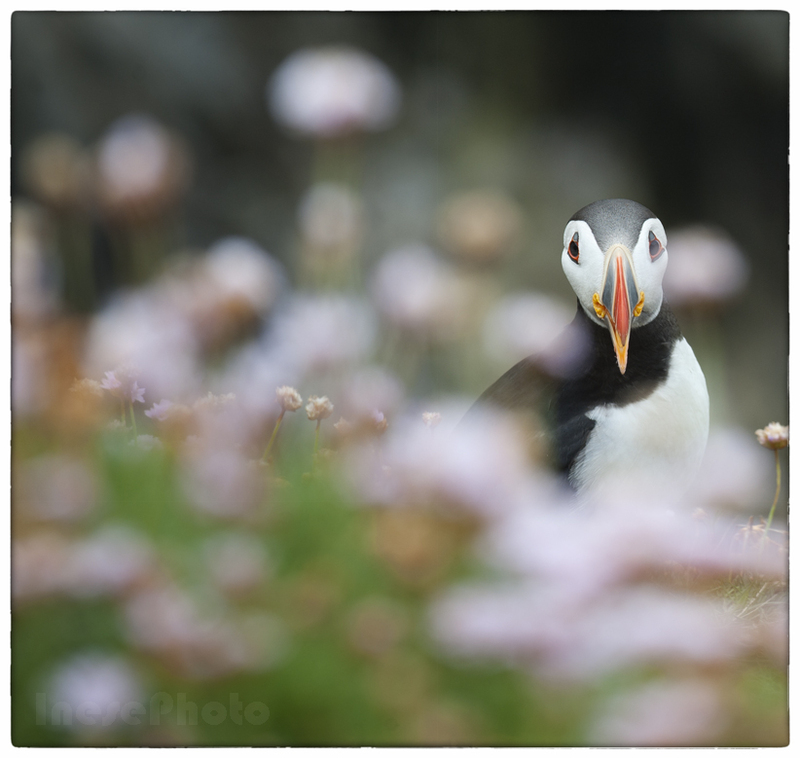 This time I visited Great Saltee island in May, a month earlier than I usually do. 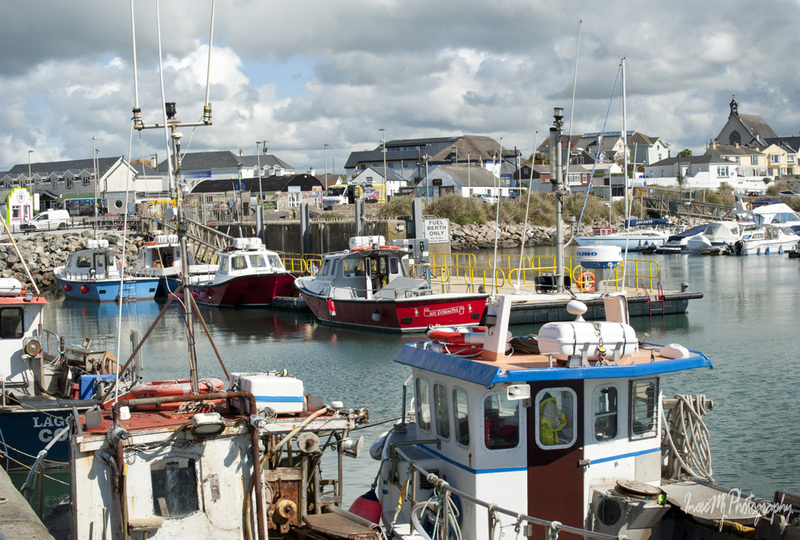 Kilmore Quay marina is busy as always, and Razorbill, the boat we will travel on, is moored at her usual place near the slipway. I have a couple of minutes to take a few pictures. 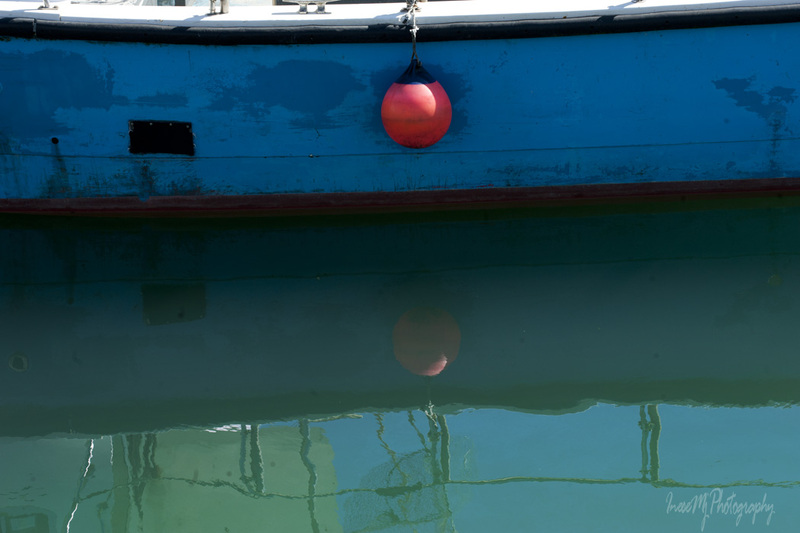 Love the name of this fishing boat 🙂 Once again I remember my good intention to purchase myself an inflatable float vest… Next time for sure! 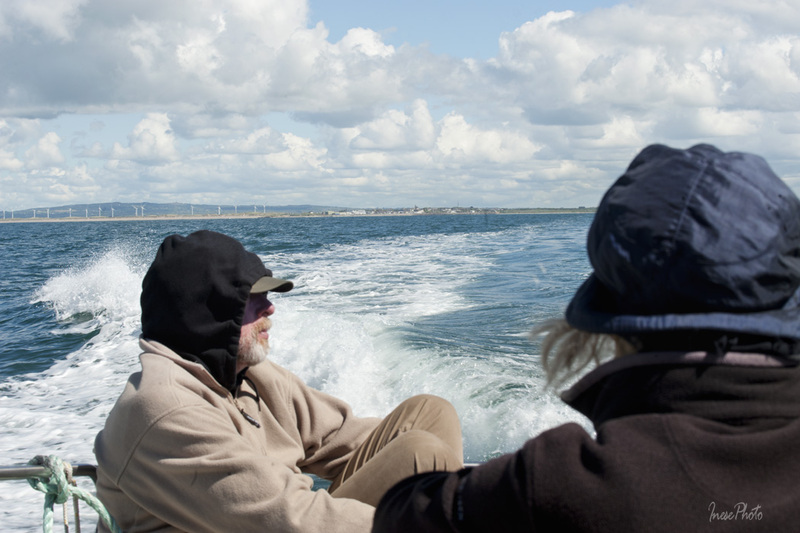 The sea is smooth, and our 5 km trip lasts only 15 minutes. 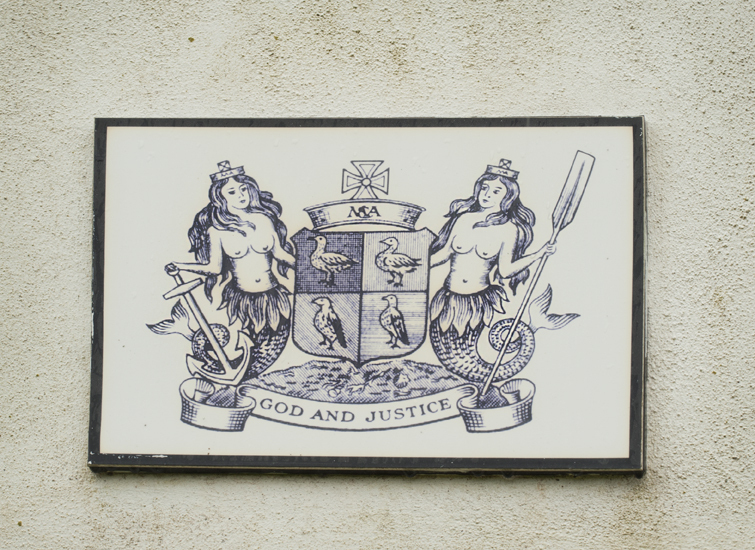 Michael the First, then farmer’s son Michael Neale, bought the islands in 1943. “Nothing is impossible to the man who can, will, then do. / This is the only law of success. 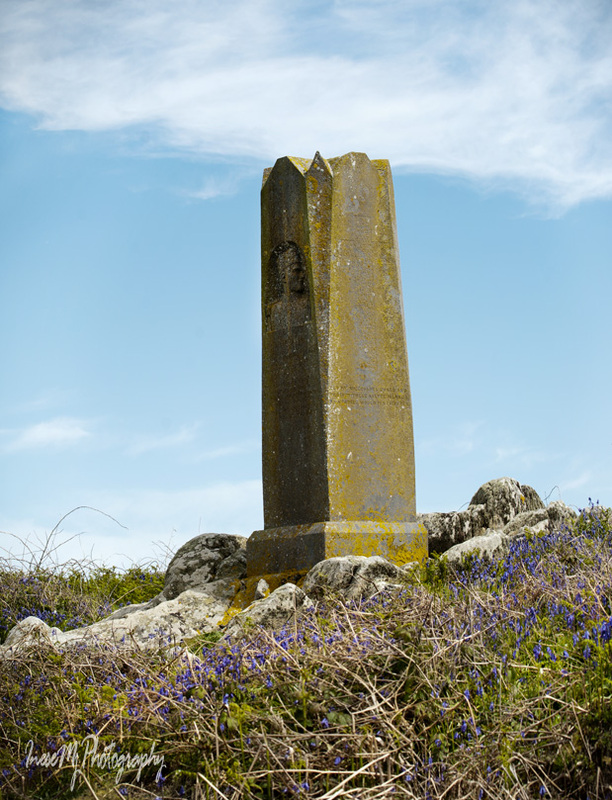 This monument was erected by Prince Michael the First as a symbol to all children that be hard work, perseverance, their dreams and ambitions may also be realised”. 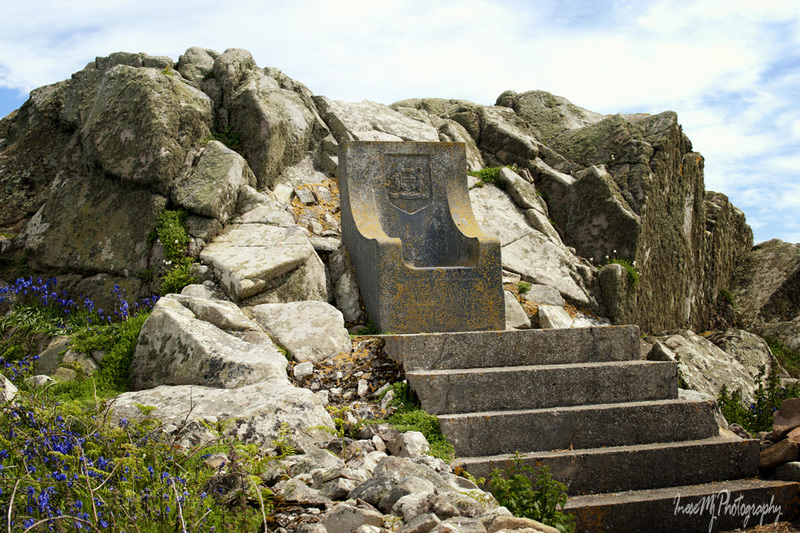 The Chair, or the Throne, is dedicated to his mother. The Islands have a long history and they used to be inhabited and farmed. 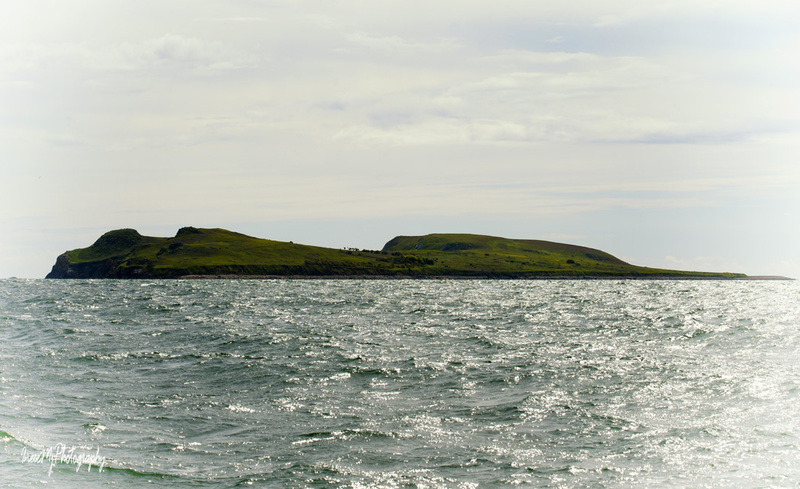 There is a rumor that the Islands were accidentally made by the Devil himself while he was being chased by St Patrick. 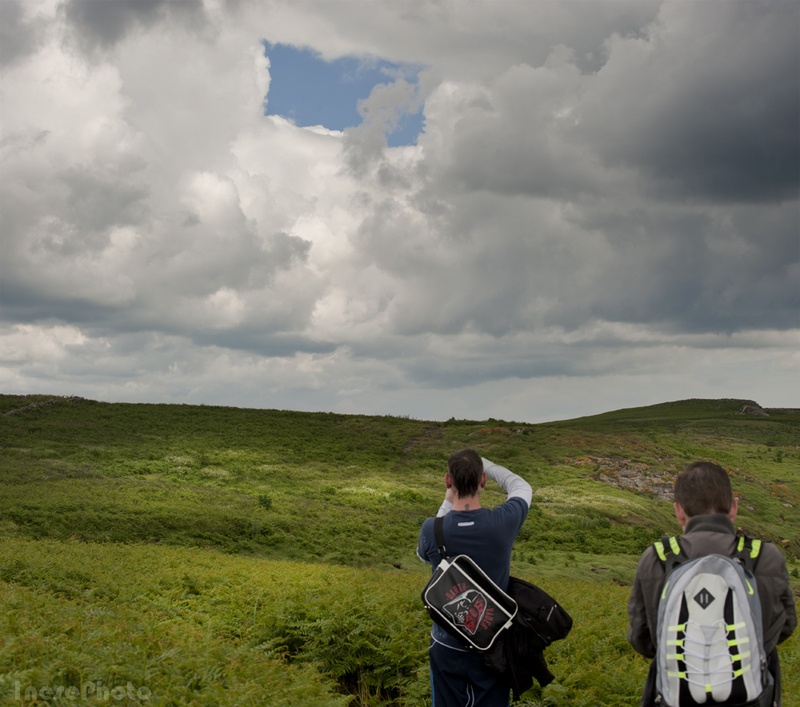 The evil creature took two handfuls of rocks from the Comeragh Mountains between Lemybrian and Kilmacthomas, and then dropped them on the run in the Celtic Sea. 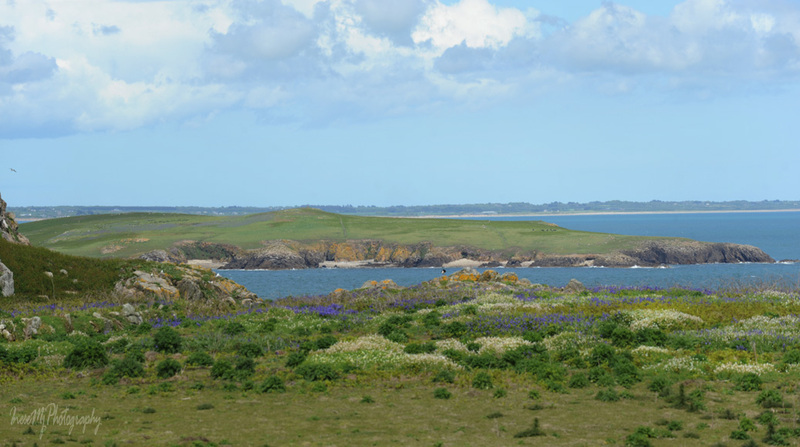 St Patrick built a causeway, just a mile from Kilmore Quay, to connect the islands to the mainland. It is dangerous to swim around the St Patrick’s causeway because of the very strong riptides. When the tide is in, the causeway is almost completely submerged. Don’t try to walk in the shallow water – the current is very strong and will sweep you off your feet. 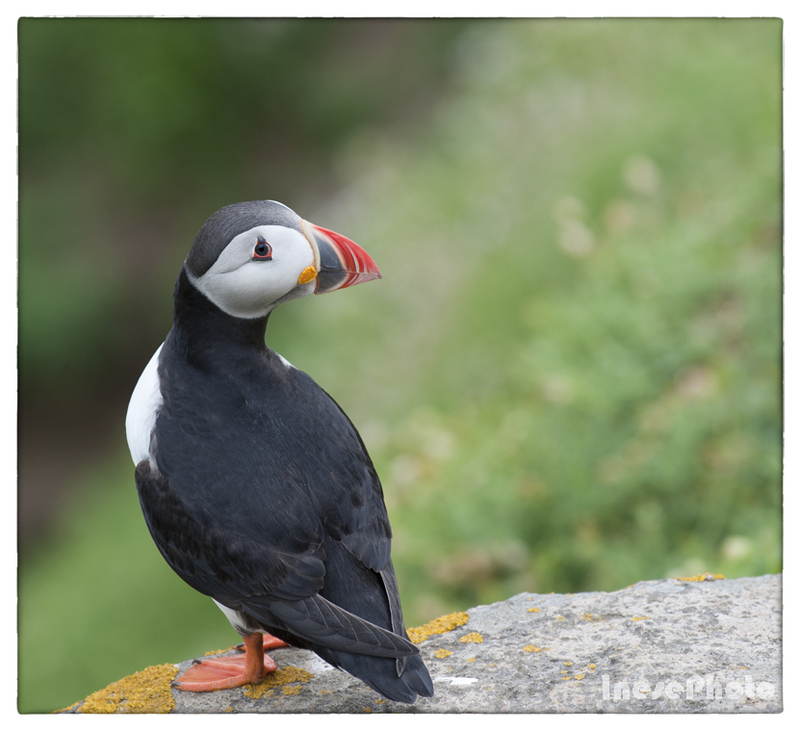 This trip was different, and I only saw four puffins. Every year they return to the same place. 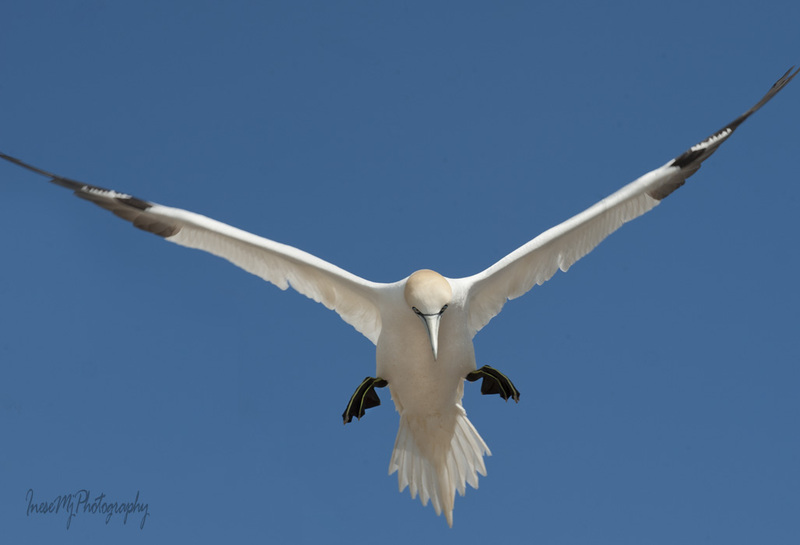 I took off across the island to see the Gannets. 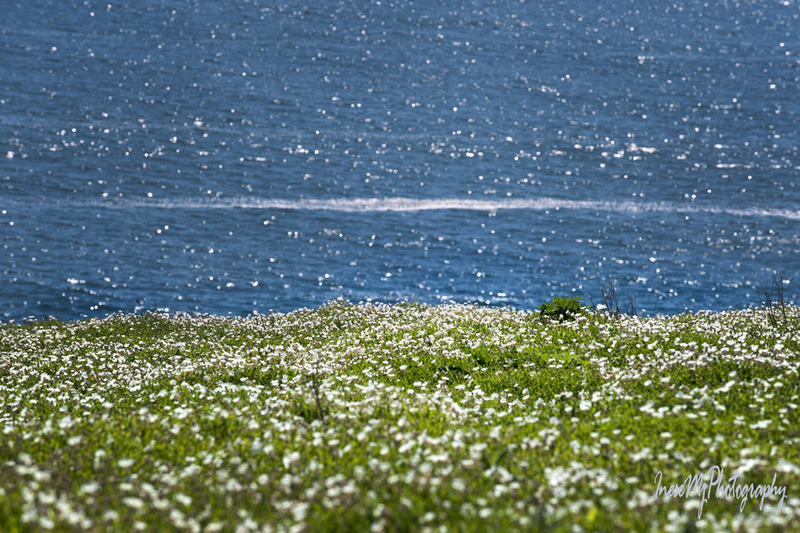 The island looks beautiful in May. 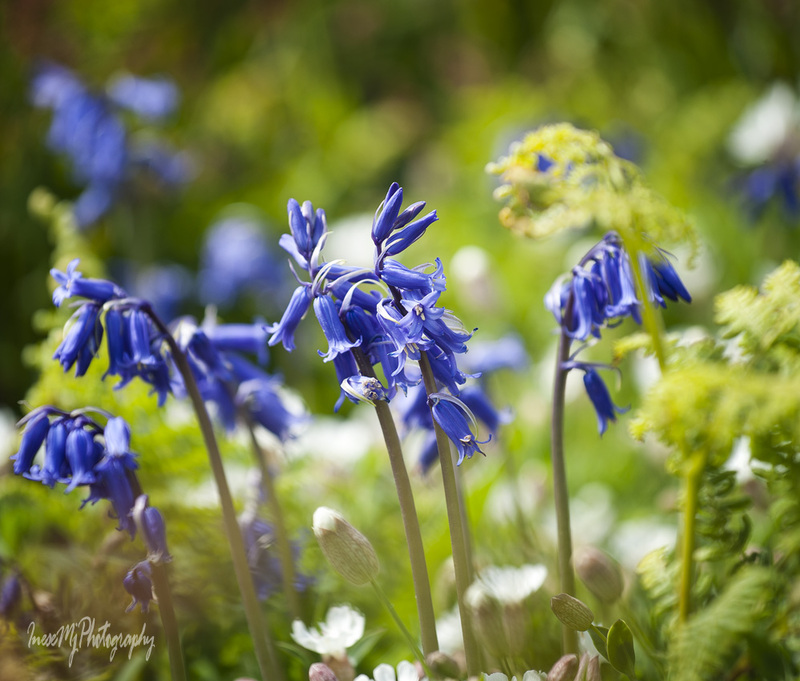 Bluebells and Sea Campions painted it in blue and white. 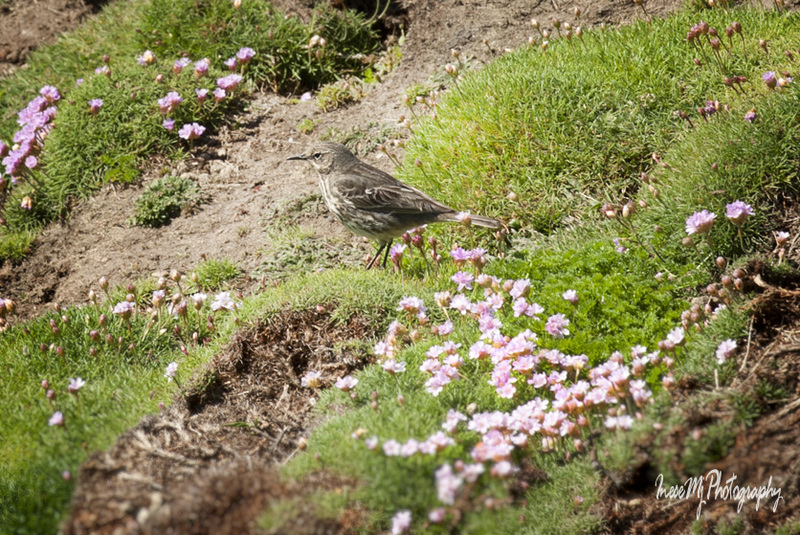 I saw two Eurasian Rock Pipit couples in exactly the same place as the year before. 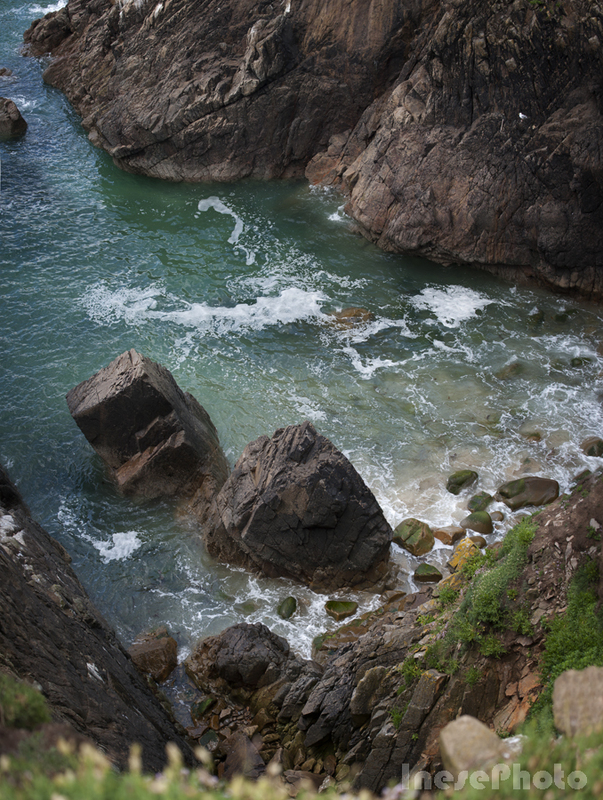 The path turned to the edge of the cliff. 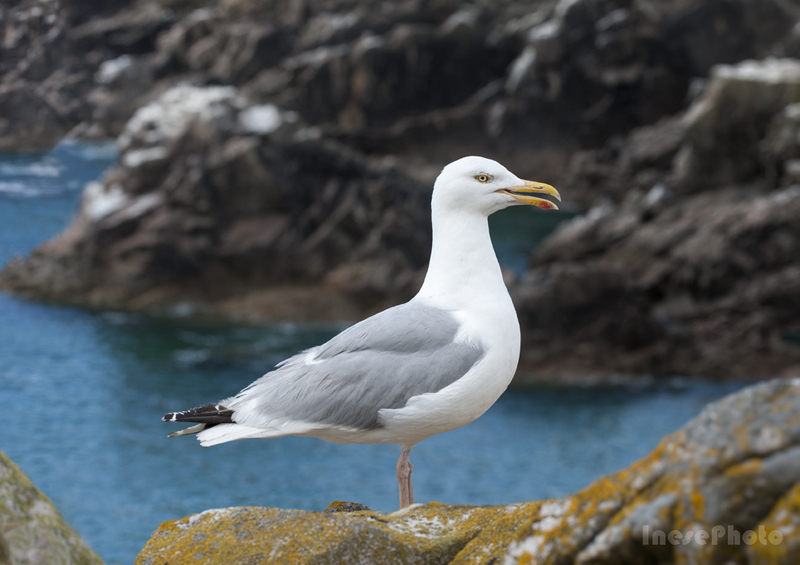 This is a young Lesser Black-backed gull. 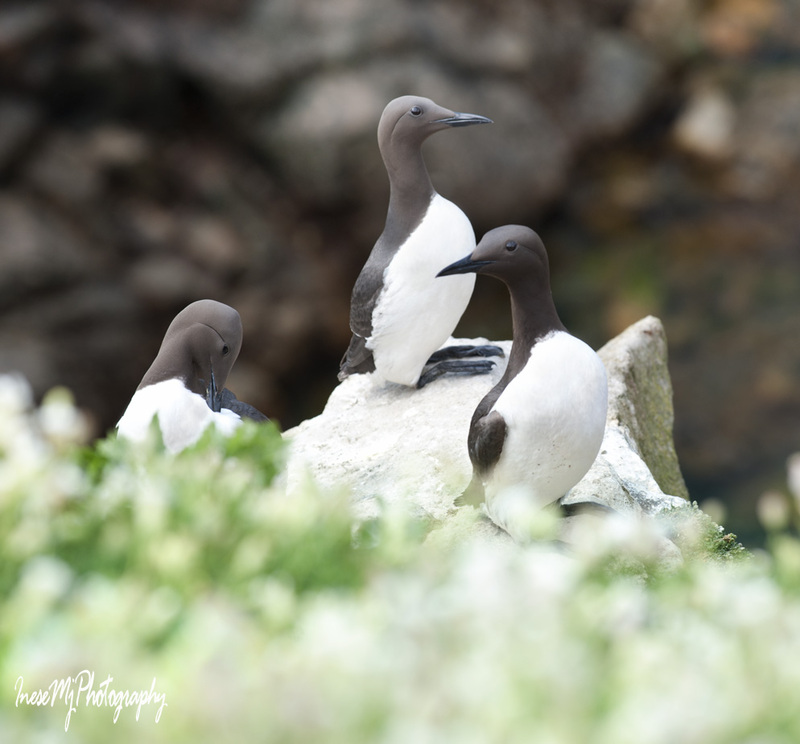 Gracious Guillemots don’t mind posing for a picture. I am approaching the highest point of the island. 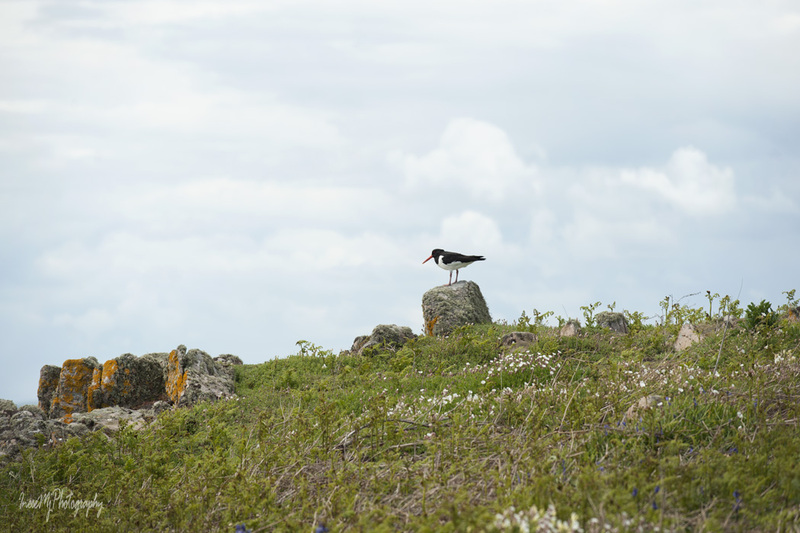 An almost vertical climb will take me to the land of Great Black-backed gulls. More pictures next week. Thank you for your company! You are the best. 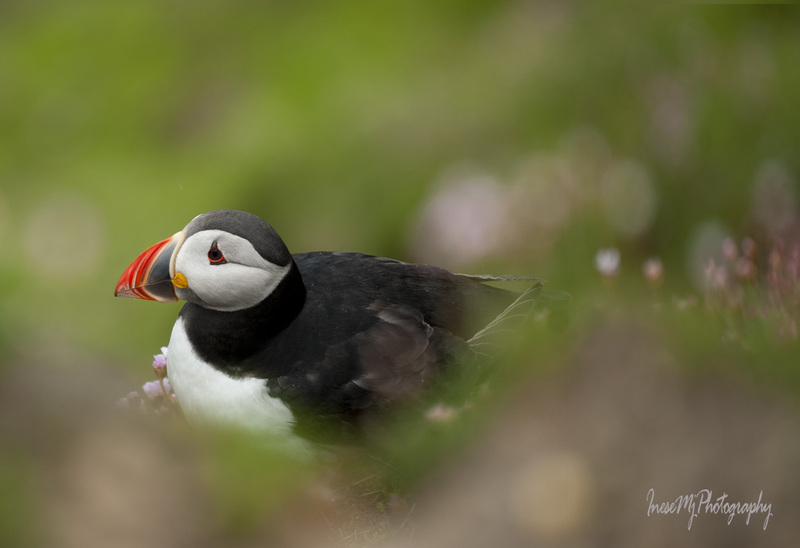 Here you can find some of my previous post about Saltee Islands. 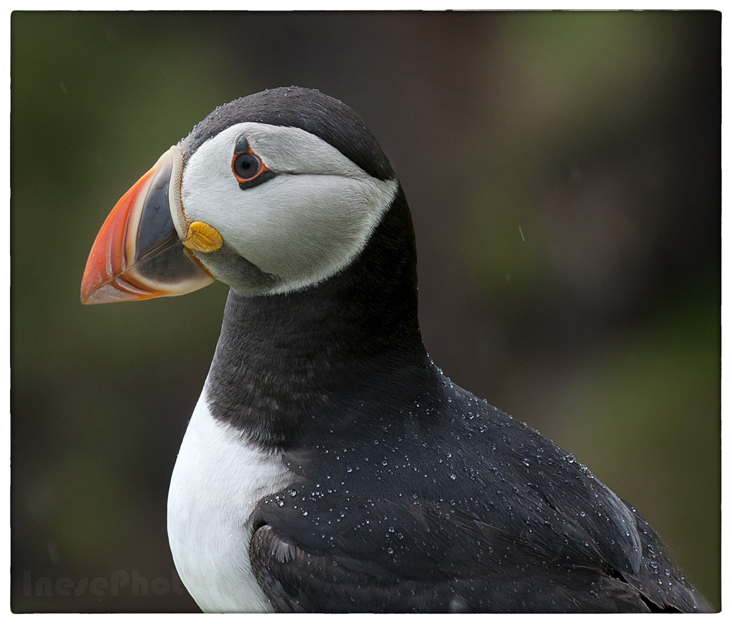 Sweet puffin looks at me with his wise grey eye. Another hour on the island and the boat will come to pick us up. I don’t want to leave. 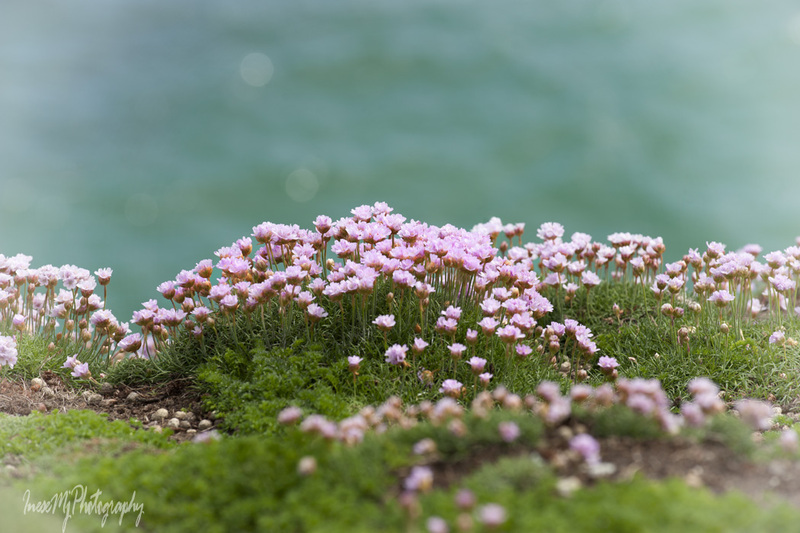 I want to stay there, on the edge of the cliff, and see what he sees. The aquamarine blue water turns a shade darker. There is a dark cloud coming from the East, and it means rain. 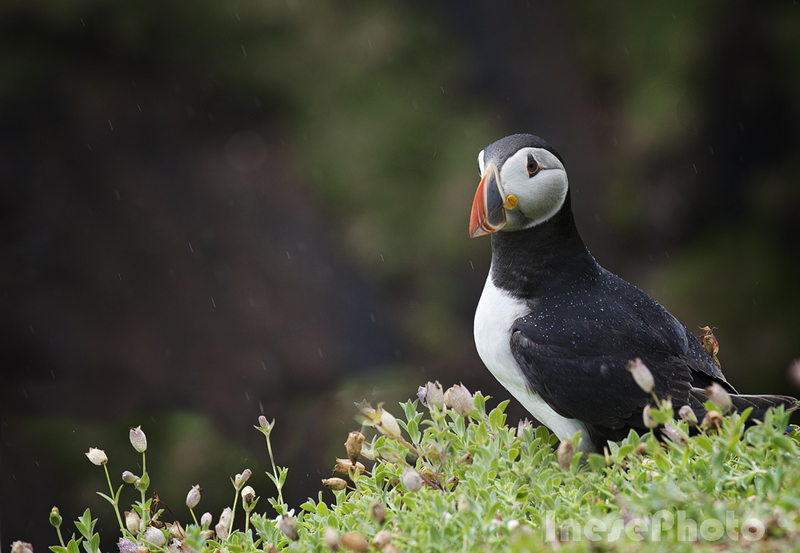 Before long it was raining lazily, and the raindrops sat on the puffin’s back and head, like diamond beads. … single and in groups. 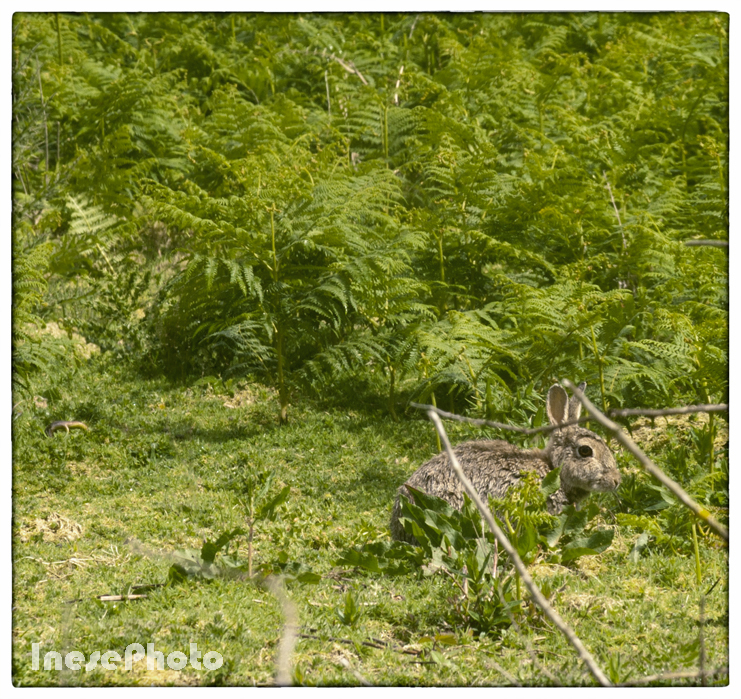 We even saw a family of partridges and a rabbit. 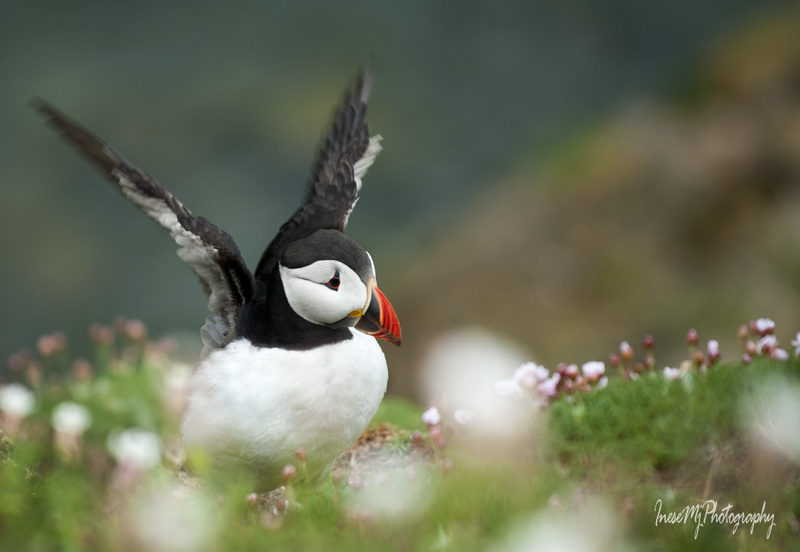 Enjoy this short video from Saltee Islands website . 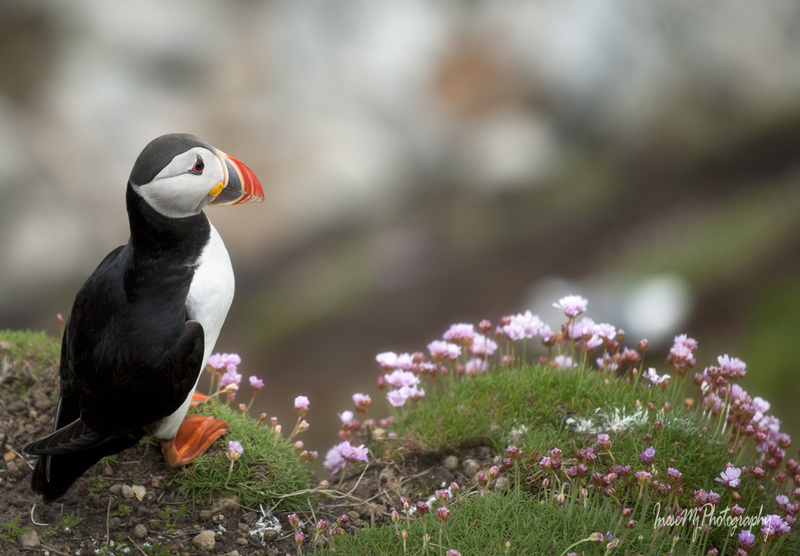 We take the stairs down to the rocky shore, and walk along the water edge taking photographs of everything that lies around. 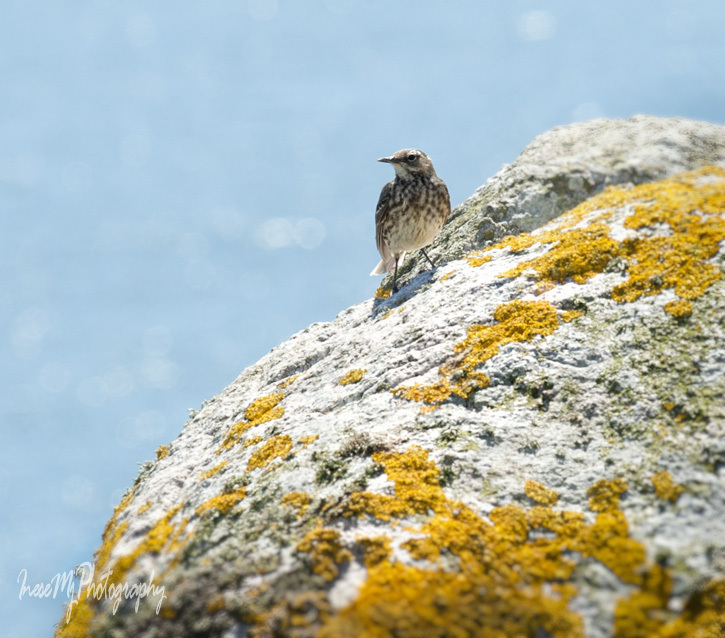 Huge thanks to the Neale family who have turned the islands into the bird sanctuary, and set up a shelter for those who might get stuck on the island overnight. 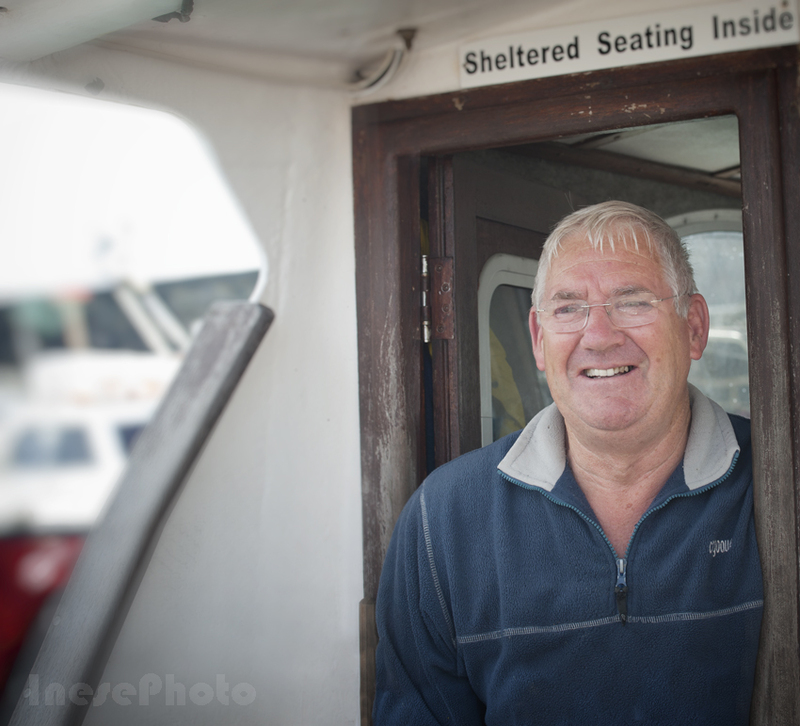 This is Declan Bates, the captain of An Crosan, The Razorbill. 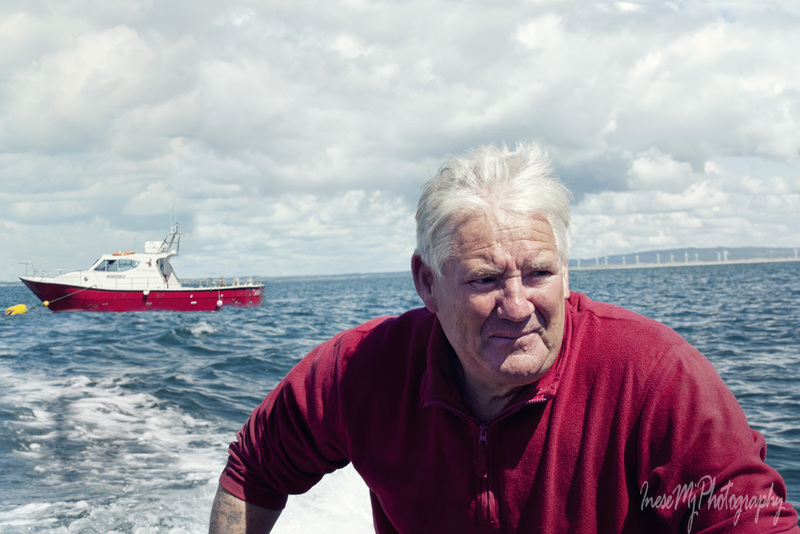 Last August Captain Bates spotted an overturned boat that capsized near Great Saltee Island. Ten people had been in water for five hours. 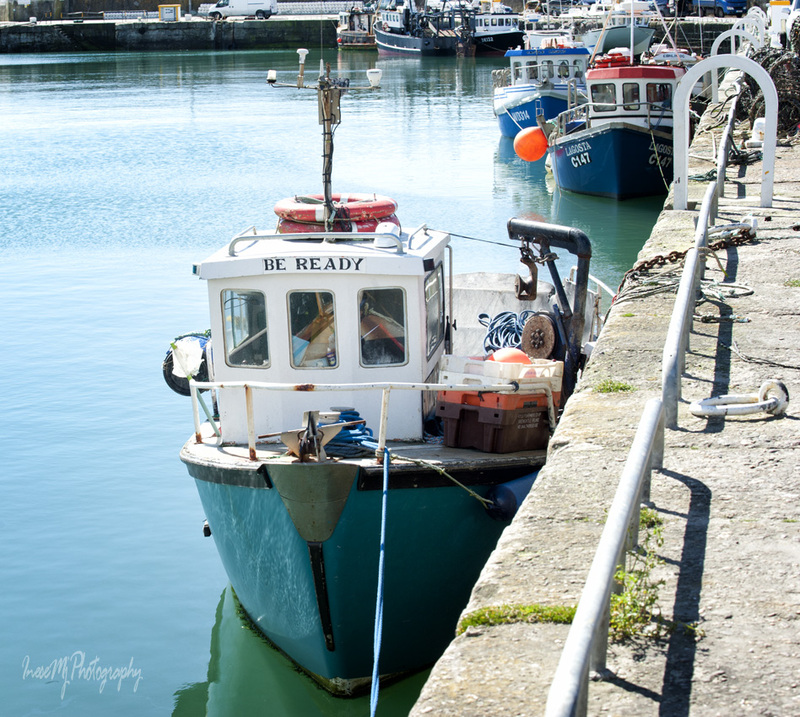 They were rescued and taken by An Crosan to Kilmore Quay. Nine of them survived. Thank you for the safe trip, captain! Don’t lose connection with the beautiful things of the world. Everything else won’t last long. 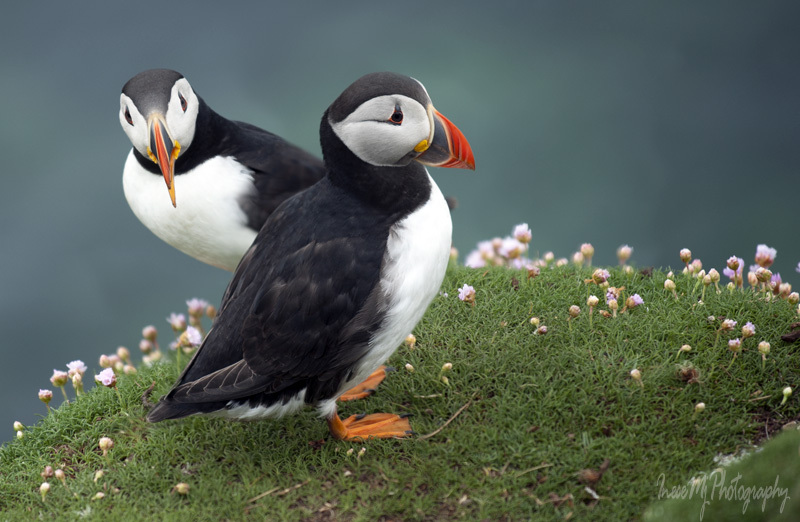 I have never seen a puffin chick. Something to look forward to. All sorts of seagulls in the island also have chicks around this time. 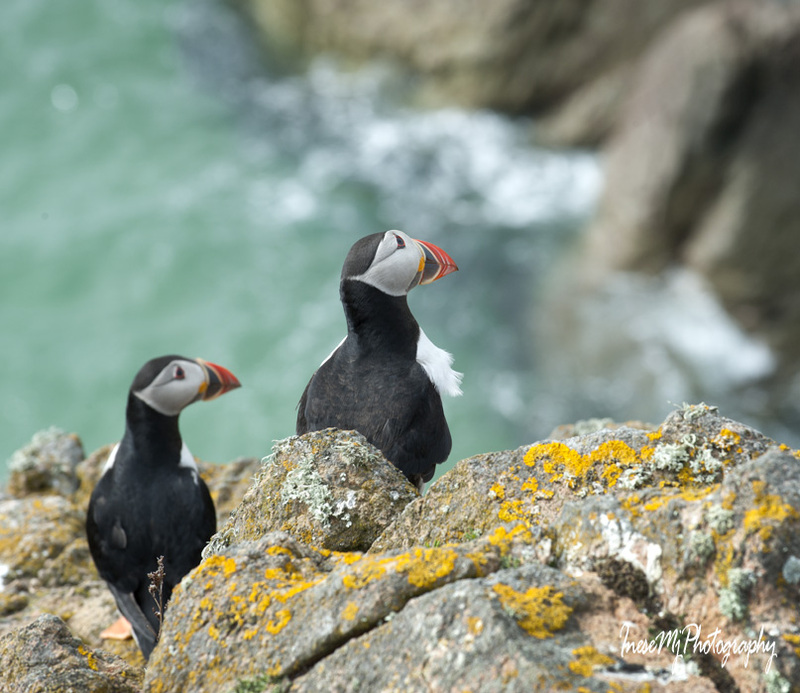 The parents are standing on the top of the rocks watching their young, ready to swoop and attack an intruder. 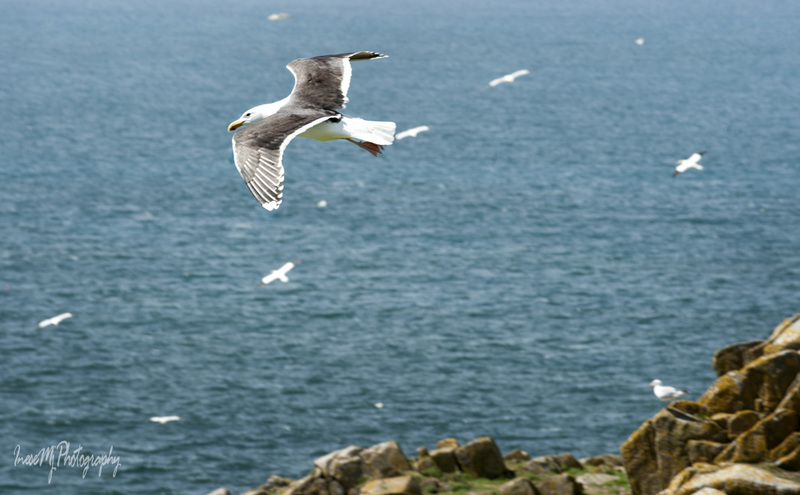 Four species of seagulls breed on Saltees. 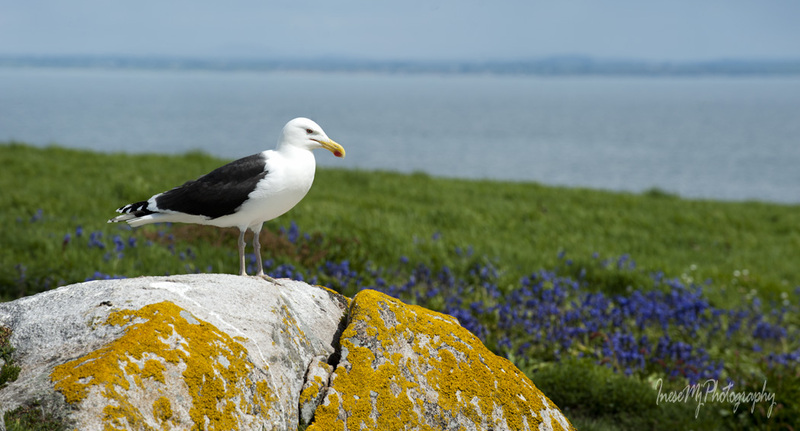 Herring gull is on the Irish Red List of the most threatened bird species. 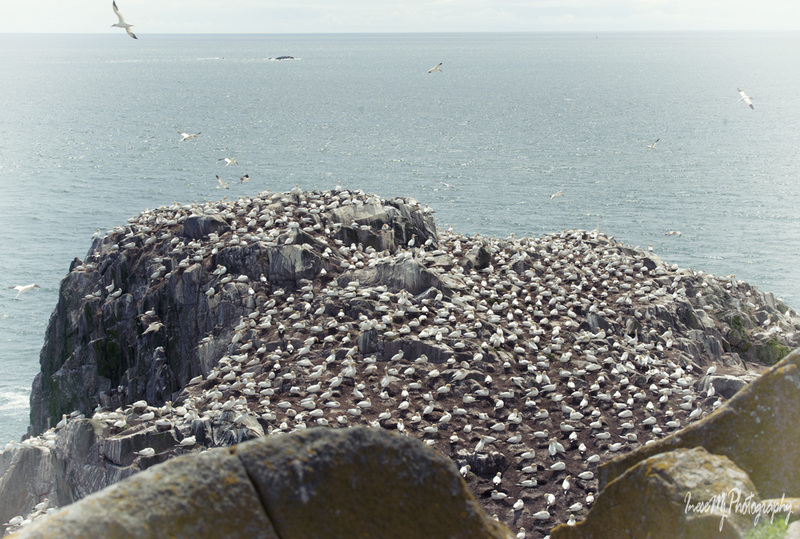 In the 1980s there were about 500 pairs on Great Saltee, and now just over 50 pairs. Good that they can live up to 30 years. 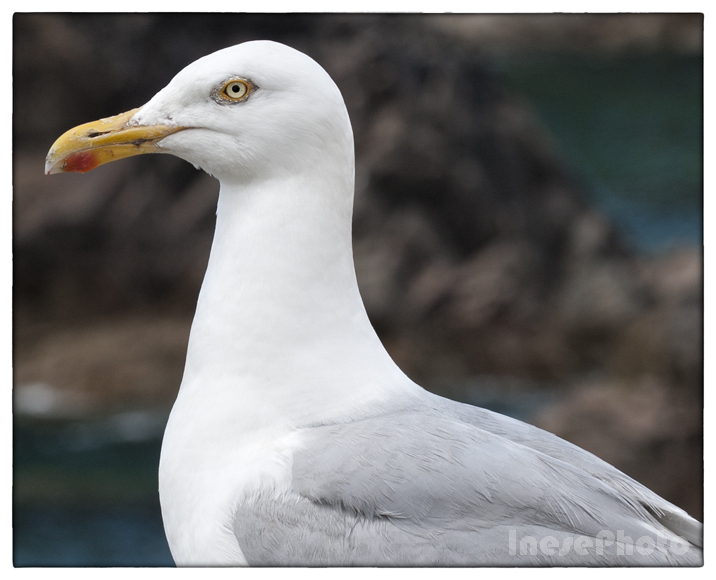 This Herring gull clearly enjoyed posing for a portrait. 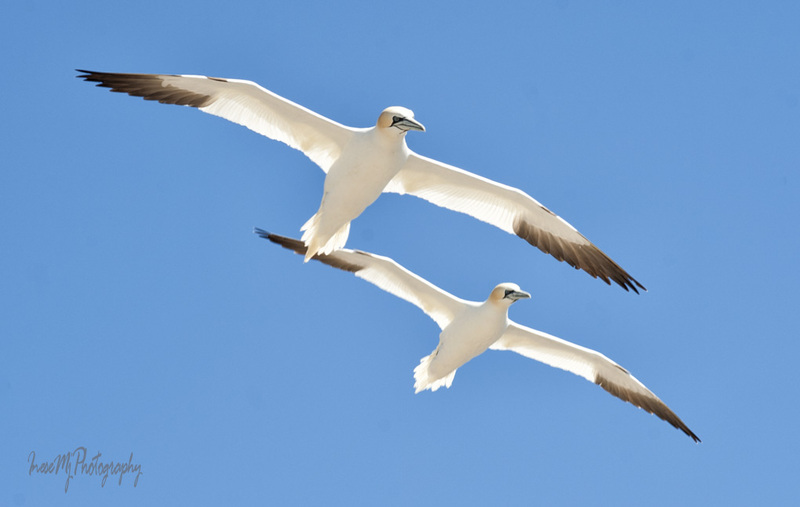 Two species of the Black-backed seagulls are nesting on the island. 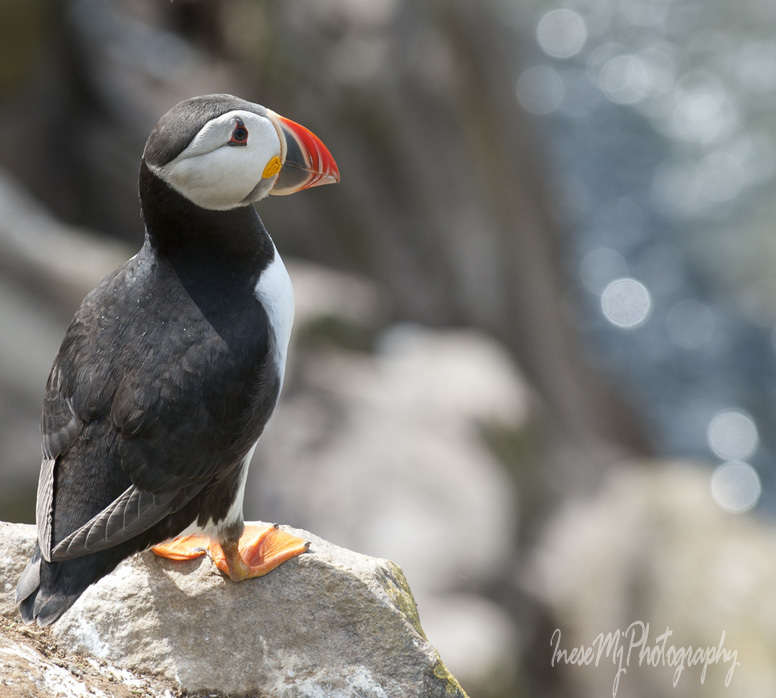 We didn’t want to upset the male perched on the rock and took pictures of the chicks from a distance. 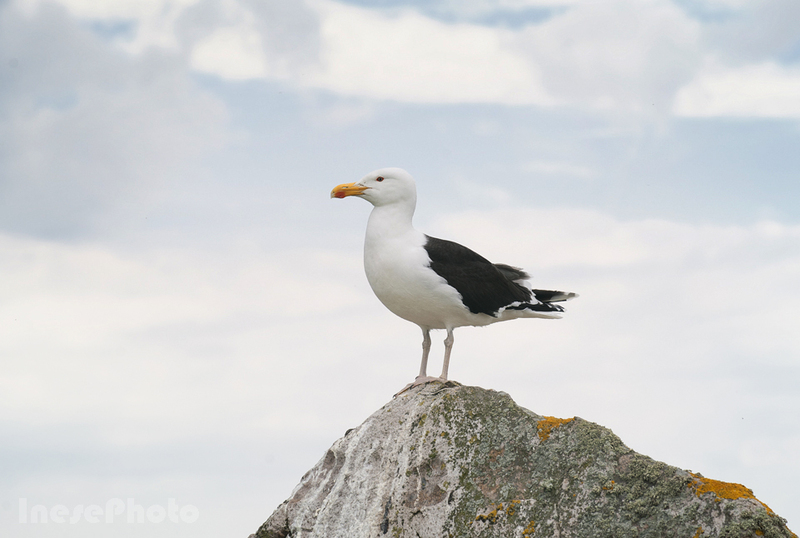 This is a Greater Black-backed gull, one of the largest gulls in the world. 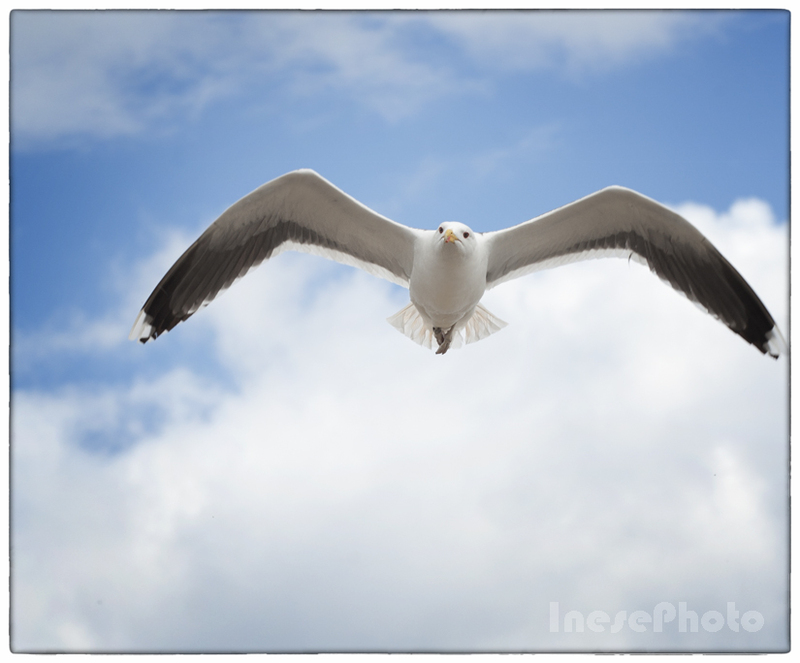 In one of my previous blogs, I have pictures of this gull in flight. 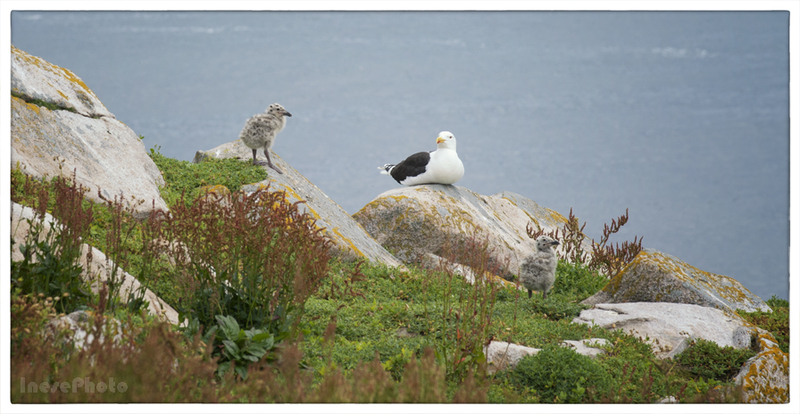 Two fluffy Black-backed gull chicks enjoying the sun. 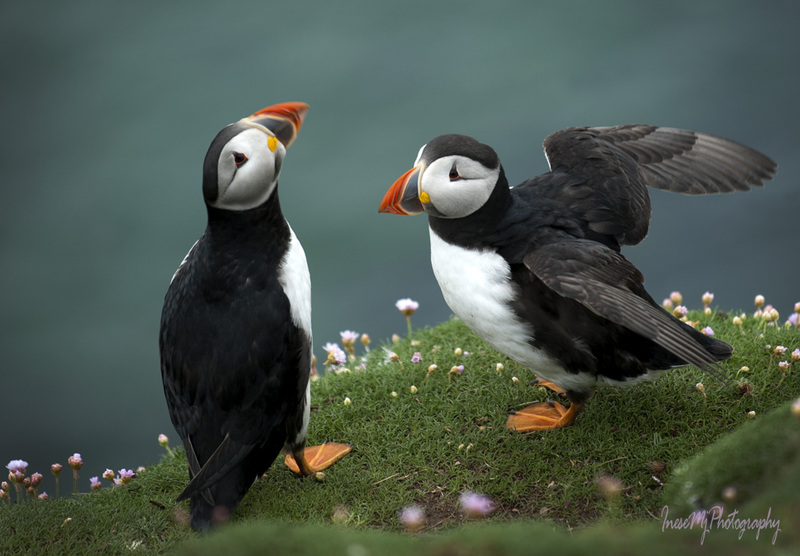 After leaving the Gannet colony I suggested that we should explore the north side of the island. 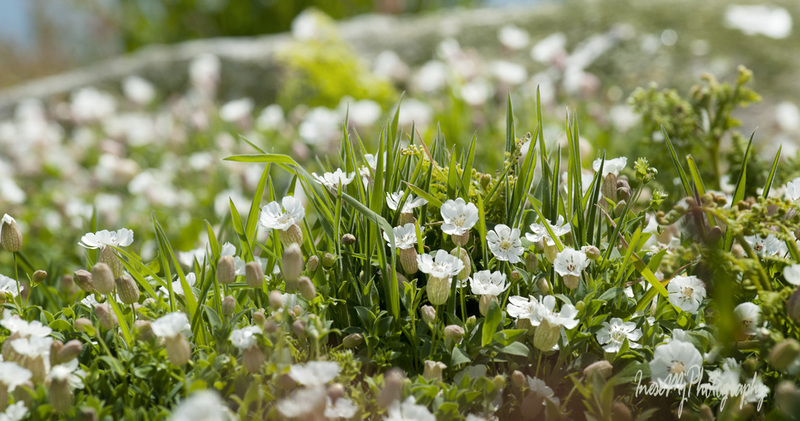 It looked like a green meadow sprinkled with some white flowers. 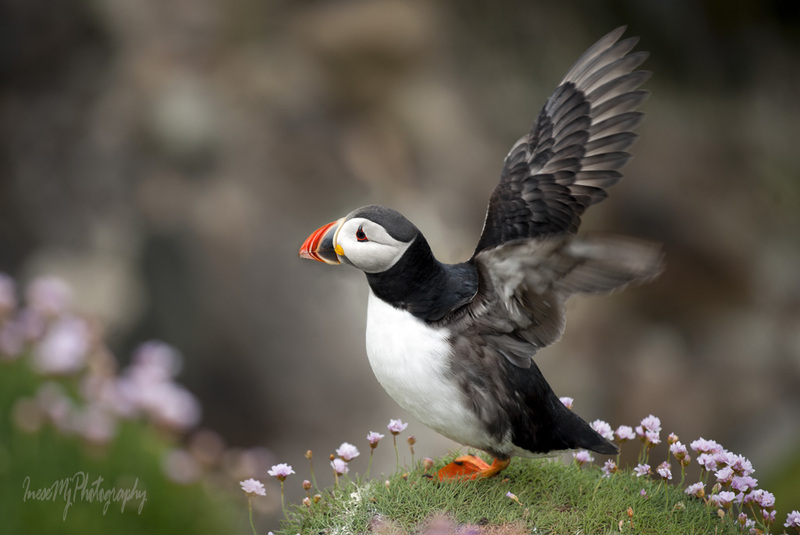 Off we went, and on our way we came across some nests with the eggs and the chicks wandering around. 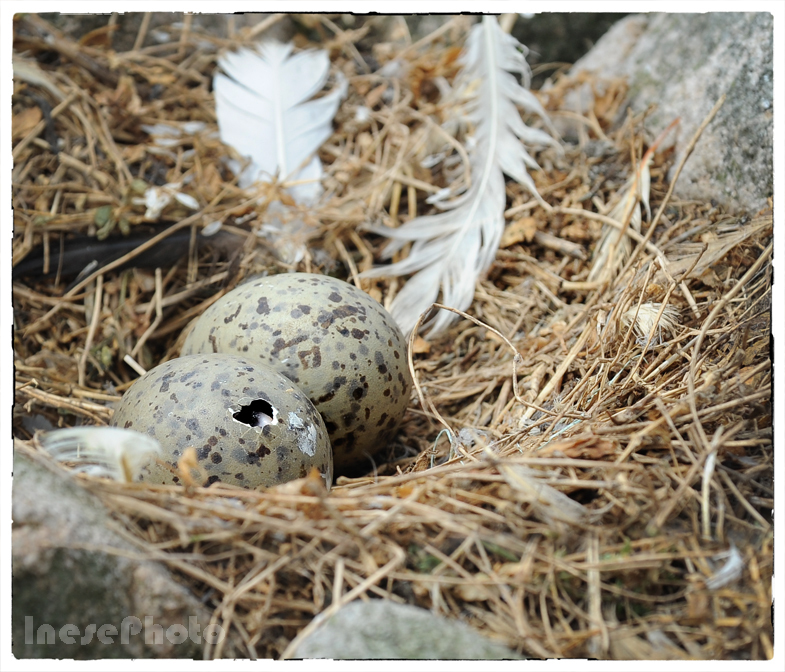 The eggs belong to different species of the gulls. Later I googled ‘seagull eggs’, and was shocked as all the pages that came up were related to cooking and eating these eggs! 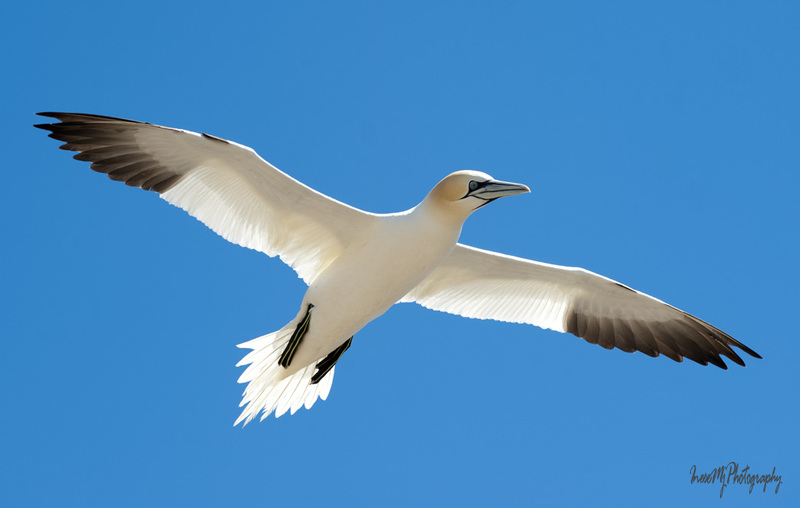 Most of the seagulls lay three eggs. One must be stolen from the nest. 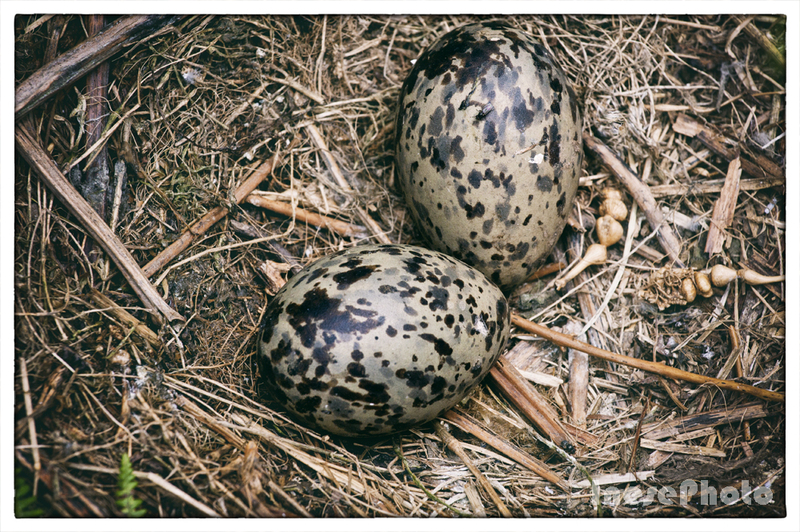 These are the eggs of a Great Black-backed gull. 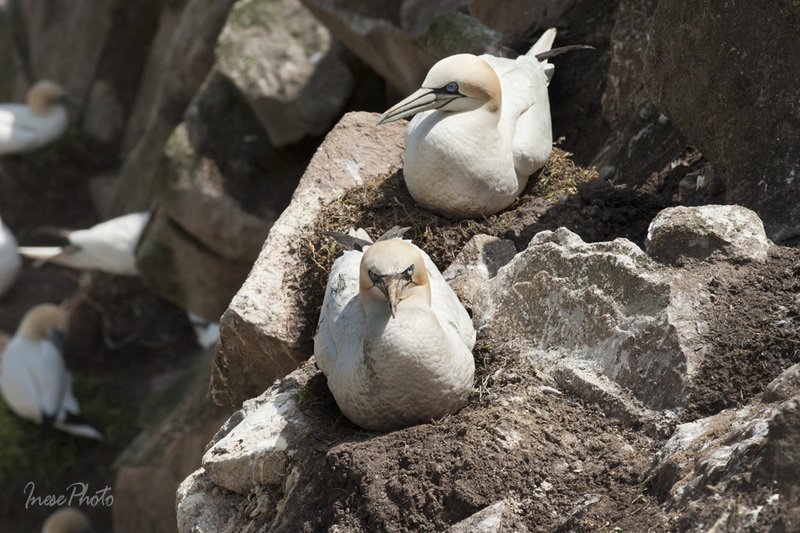 The pair of them is nesting in exactly the same place as last year. You can enlarge the picture to see the chick use its egg tooth to break through the egg shell. It might take 24 hours or even longer. 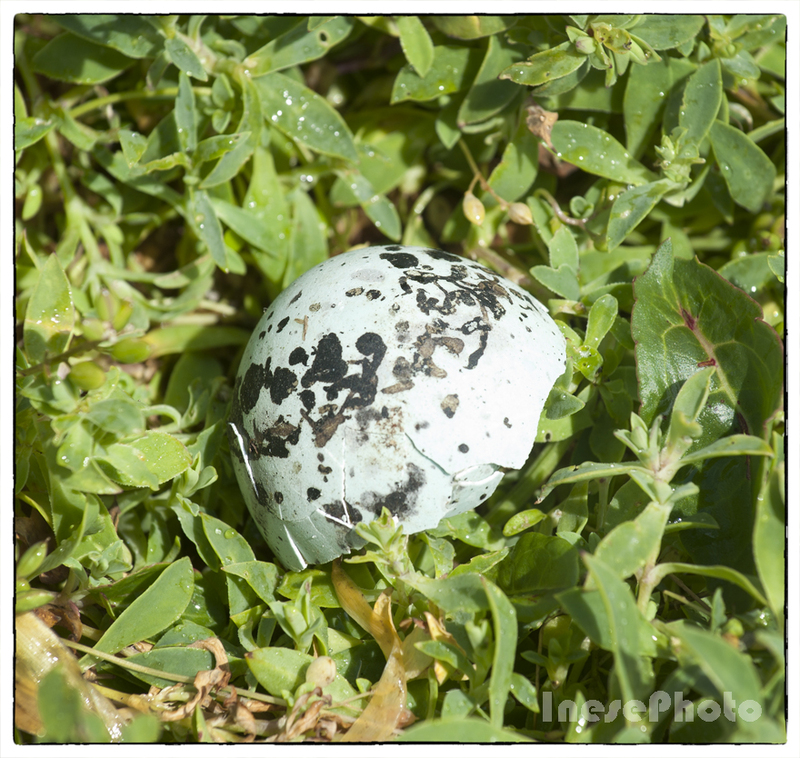 This speckled blue eggshell is quite big which means that it belongs to a seagull. 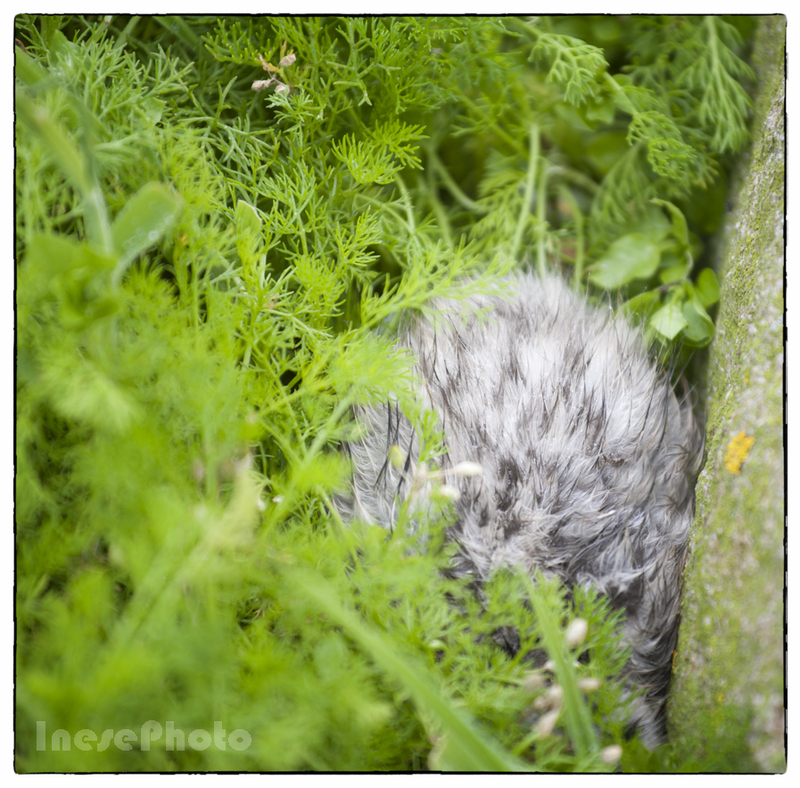 A chick is hiding in the weeds and playing dead. After that, our detour took a bad turn, literally. 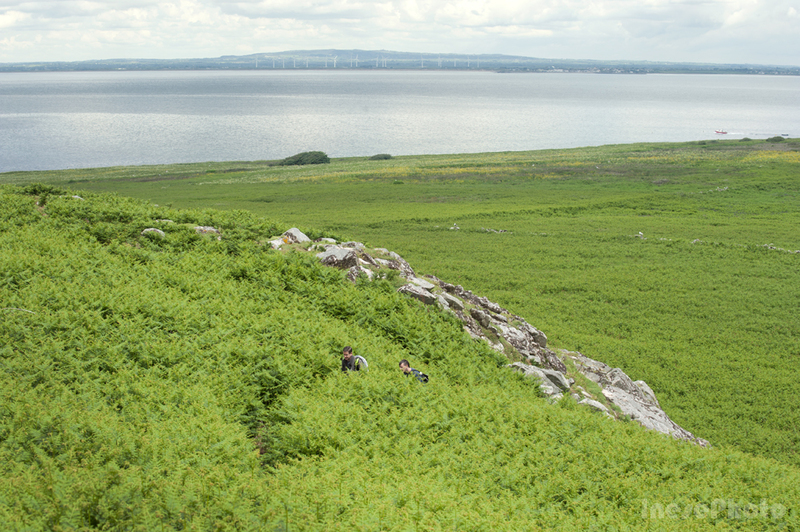 We turned to the East and gradually entered the area covered with the ferns. In the beginning we managed to keep to the frail path but it led us nowhere. The seagulls hated us. 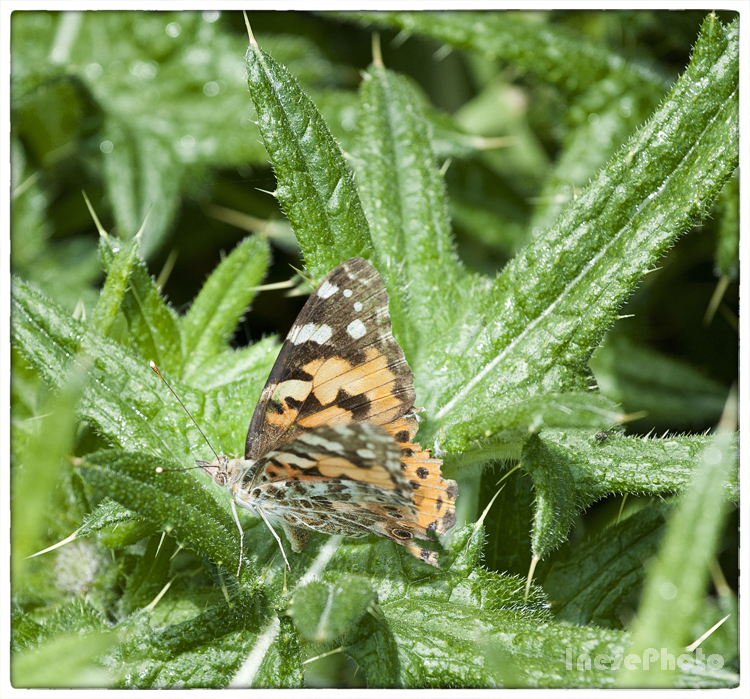 Then the thorns and brambles came into the picture, and the path completely disappeared. 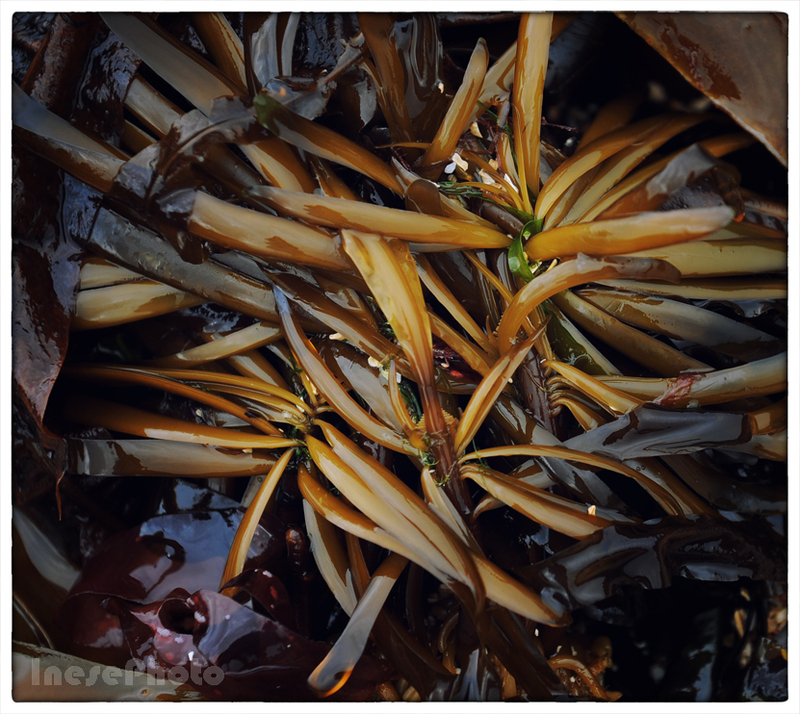 My companions suggested that we keep moving along the coast no matter what, but the green sea of ferns might hide dangerous holes and who knows what else – I didn’t want to dive in it again. We were right in the middle of the green area in the picture below. 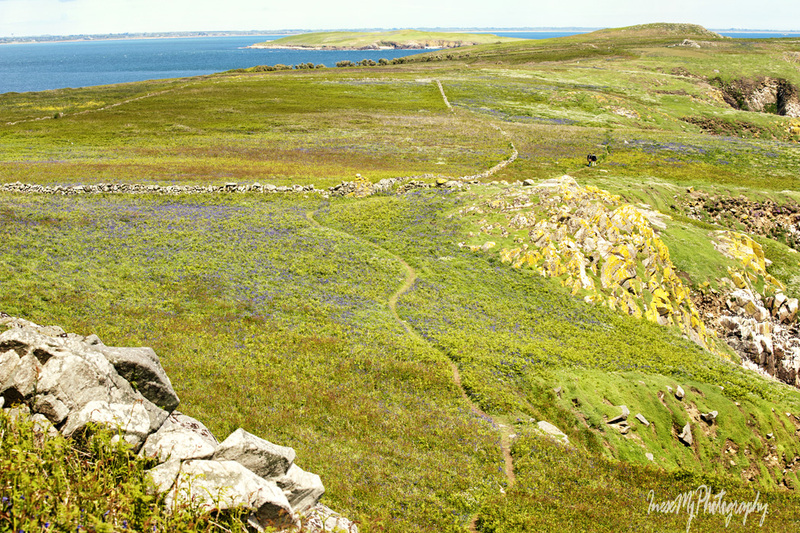 If you zoom it, you will see a stone wall crossing the island, with the seagulls perched on top of it. I suggested we walk to the wall, climb on it, and walk on top of the wall until we reach a surface free of vegetation. So we did. The wall wasn’t flat on top, of course. The rocks were sharp and slippy, I fell, and my backside stuck between the rocks like a keystone. If I were alone I would cry. Thankfully, I was lifted up and put on the straight and narrow again. 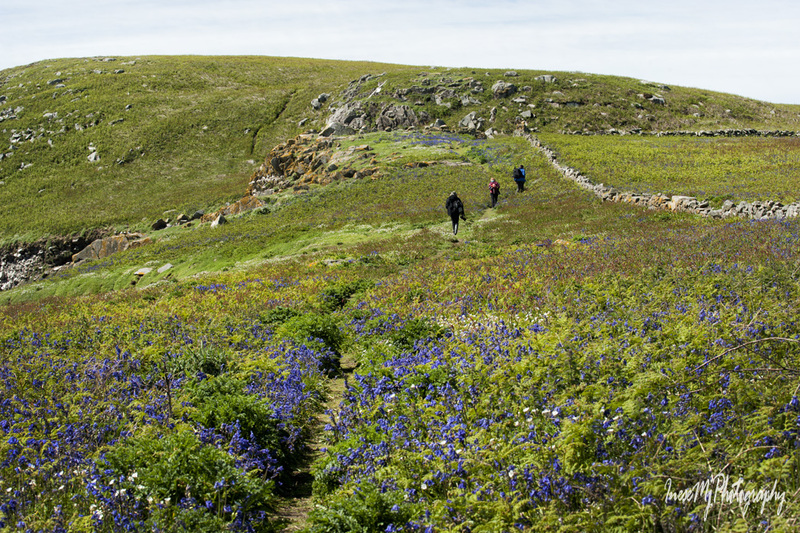 After a while we reached the main path and thus escaped being consumed by ferns. Lesson learned – keep to the main path because there is no other. Beautiful weather had changed and the drizzle started to thicken. Suddenly the dark clouds opened in the middle revealing a perfect rectangle. Was it some sort of a message? 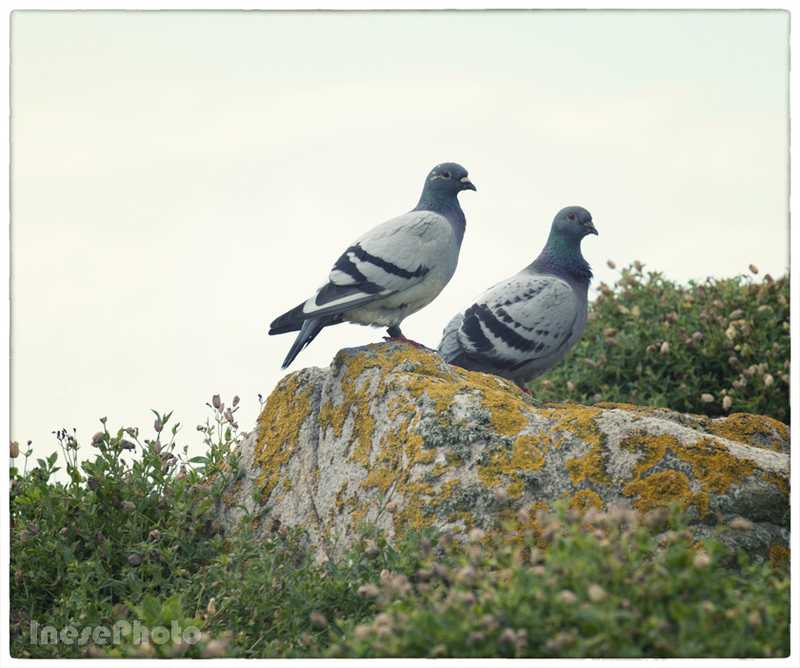 Another surprise – two pairs of ringed pigeons. How did they make it to the island? 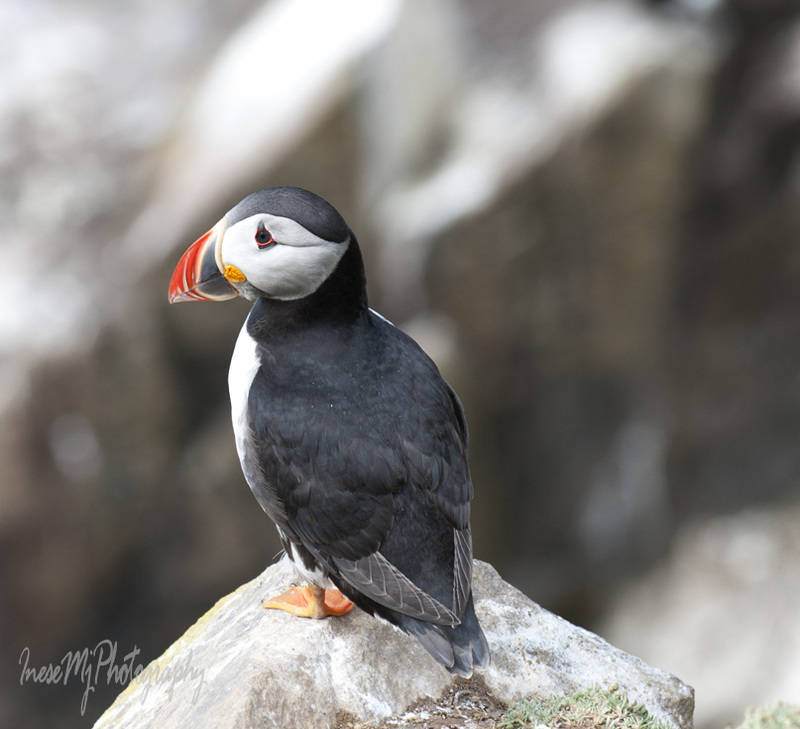 On our way to the boat we returned to the Puffin cliffs. 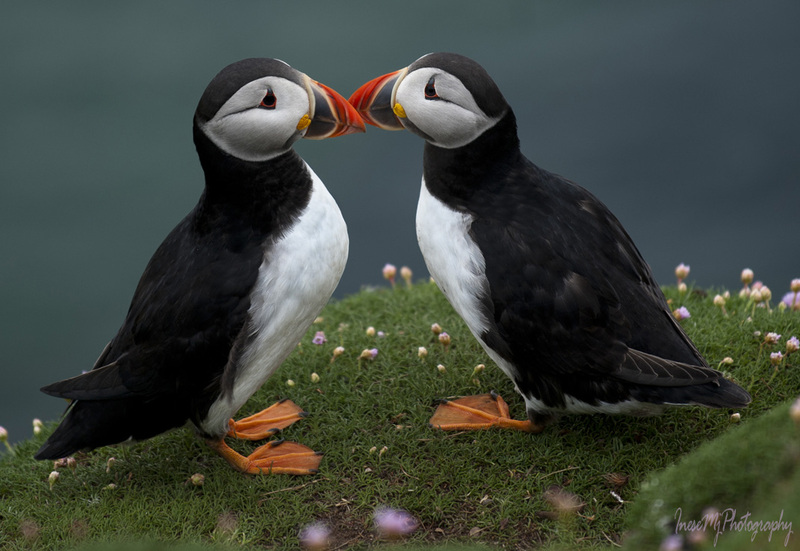 I just cannot stop taking pictures of puffins. 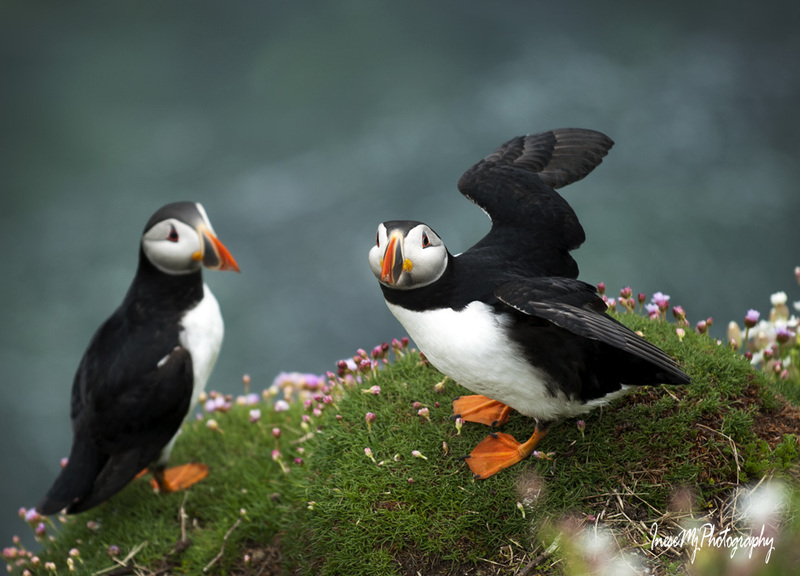 This one came running – sweet, funny bird! Thank you for sharing the dangers of this trip with me! 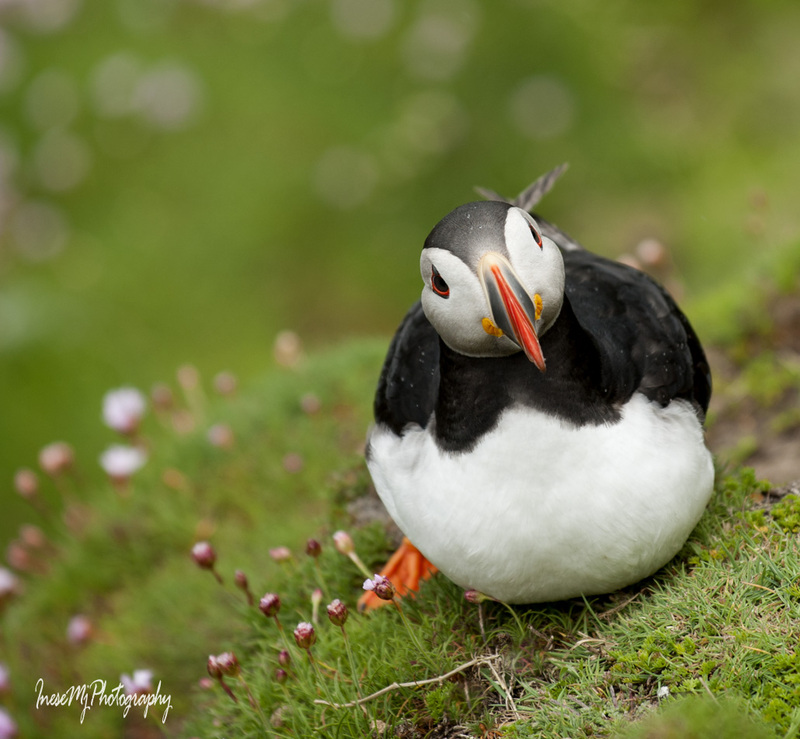 The last blog about Saltee Islands is coming next Saturday!